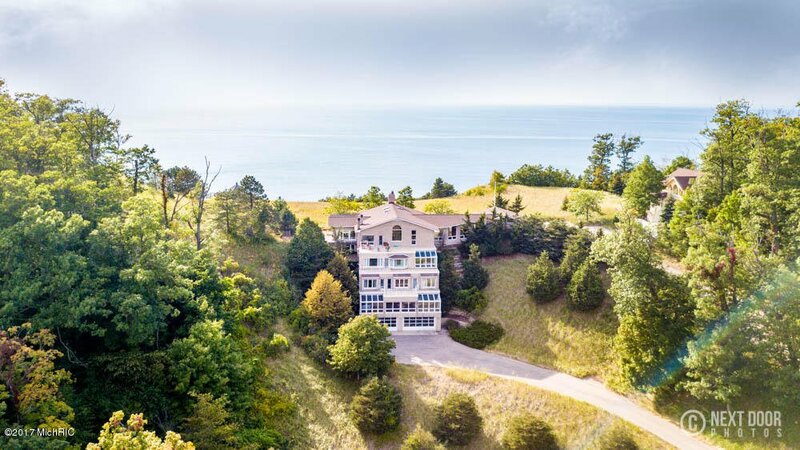 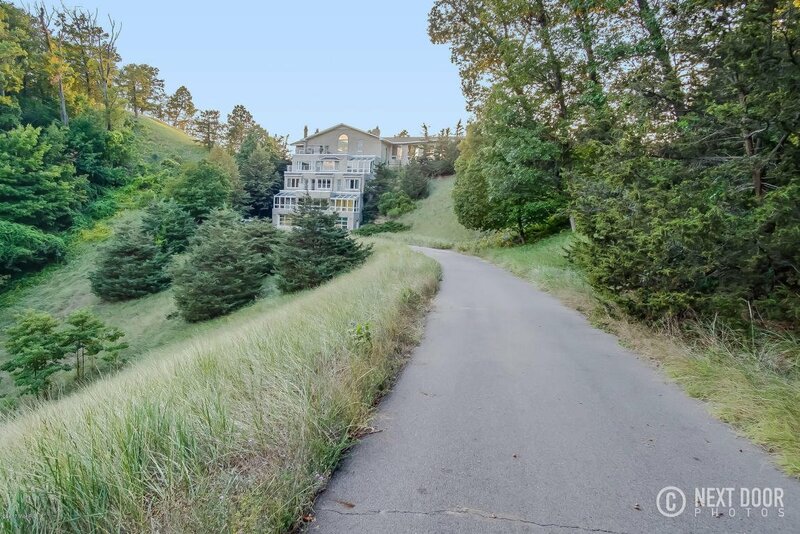 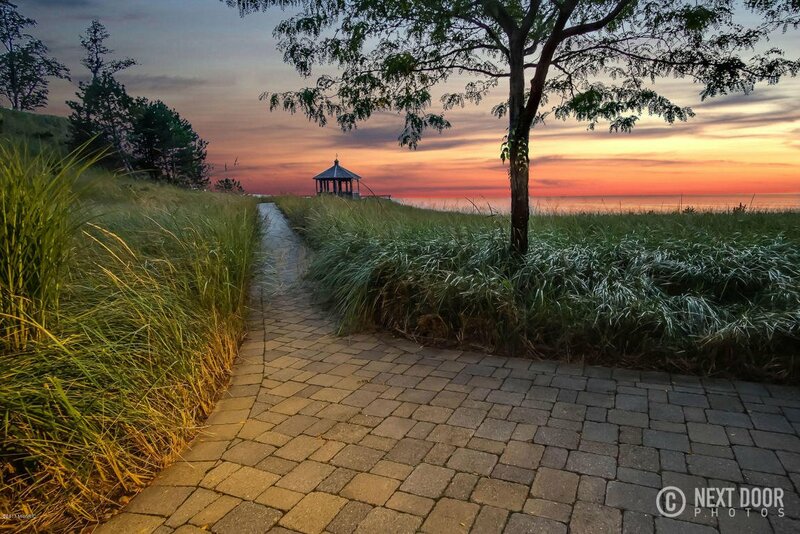 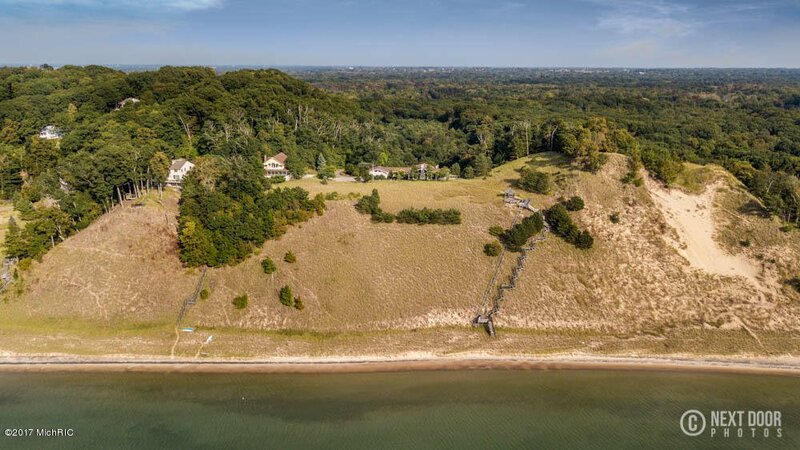 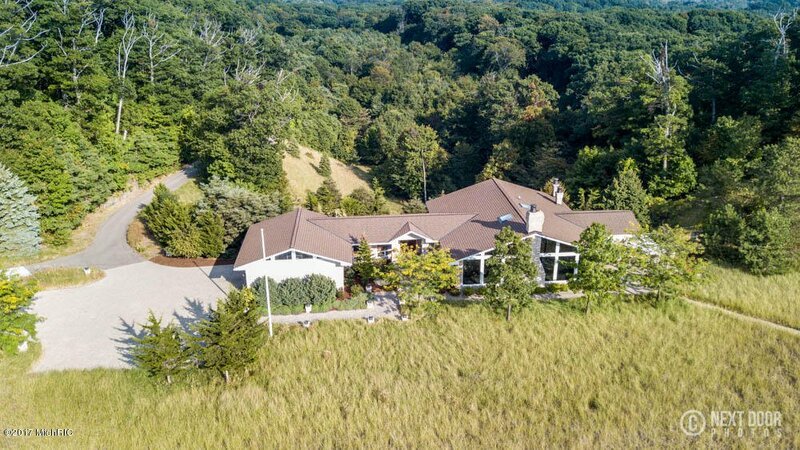 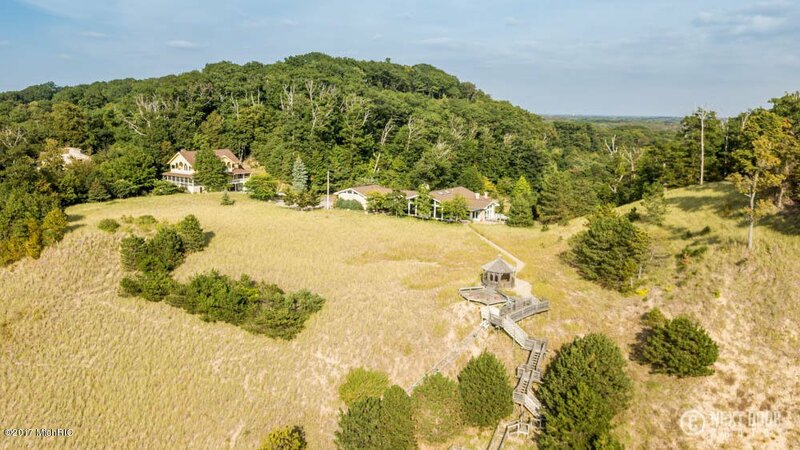 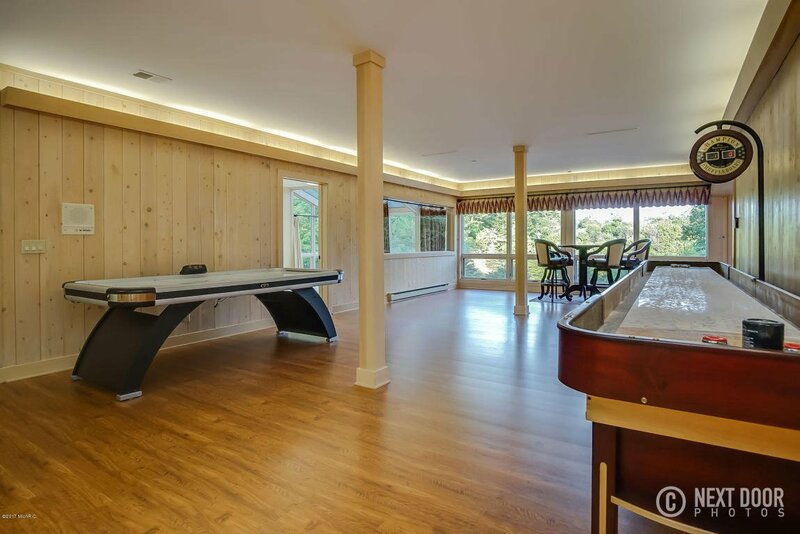 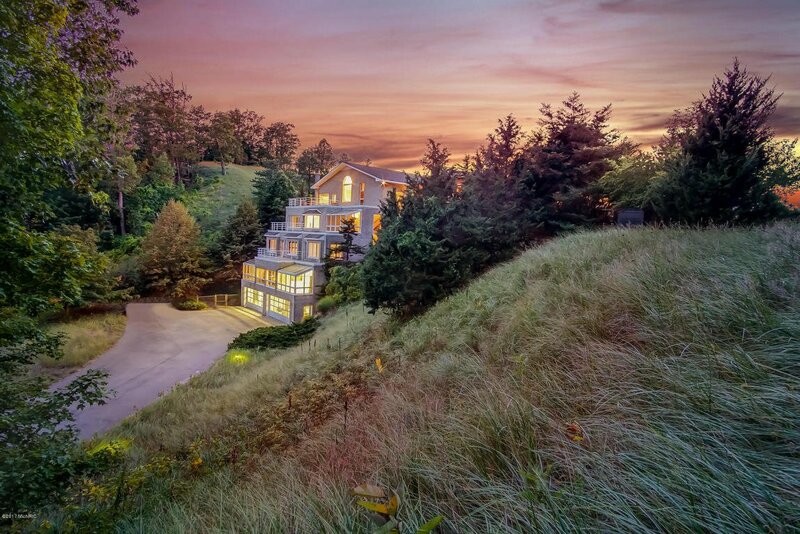 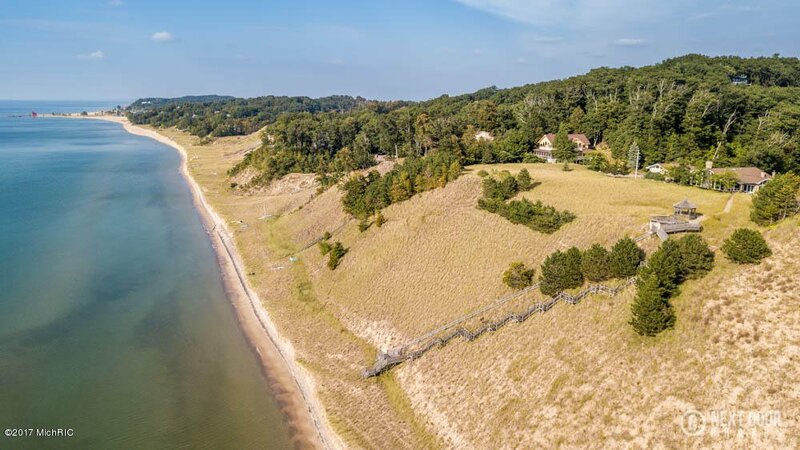 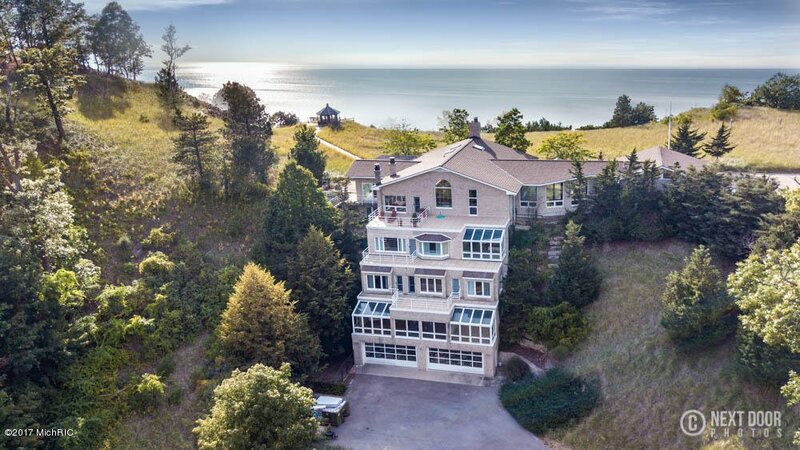 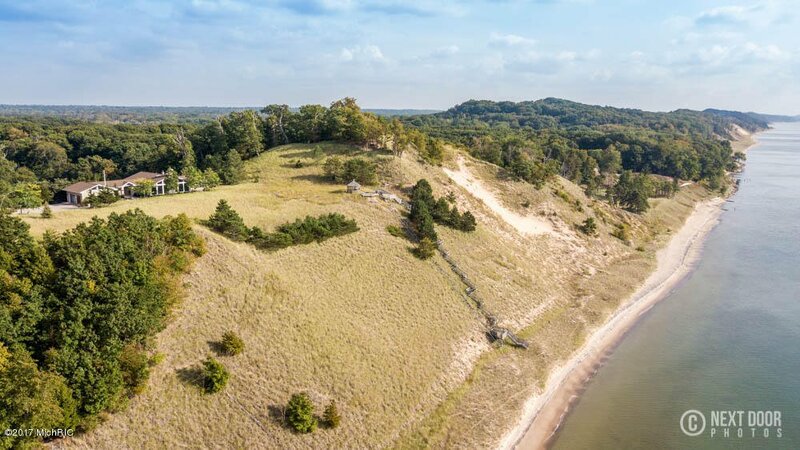 FIVE STORY ESTATE ON LAKE MICHIGAN WITH 421' OF PRIVATE BEACH FRONTAGE and ALMOST 18 ACRES OF PRIVATE SECLUSION. 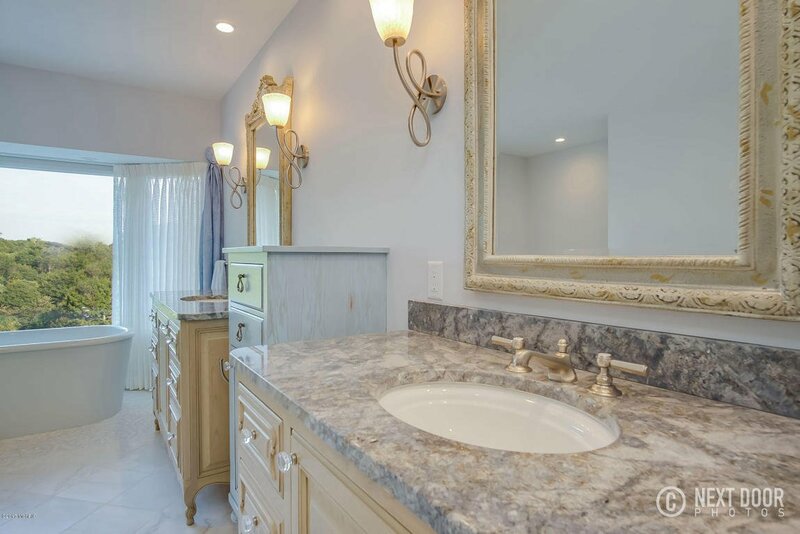 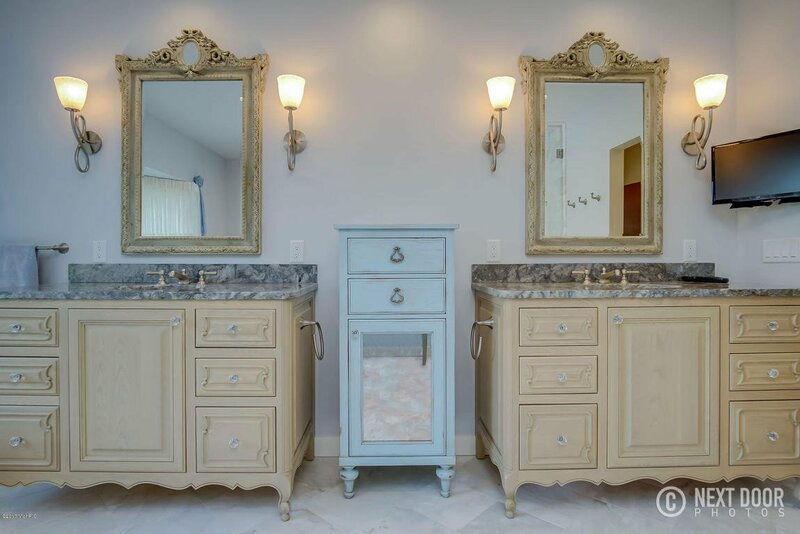 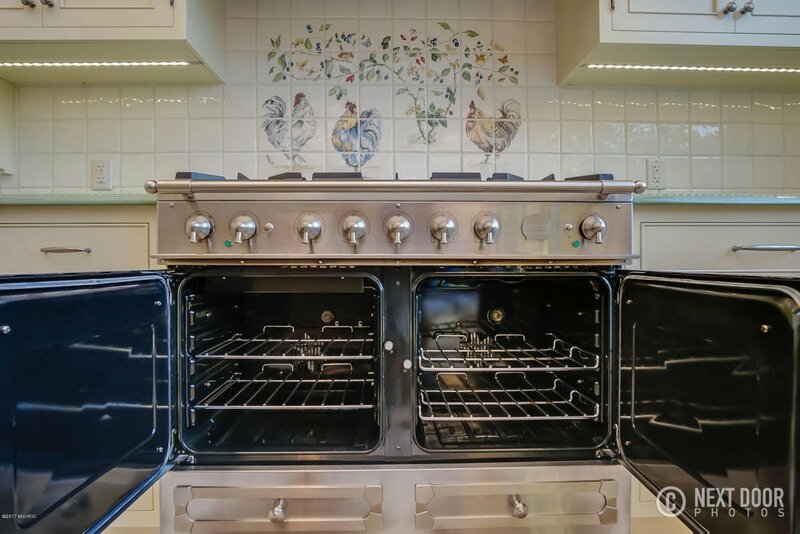 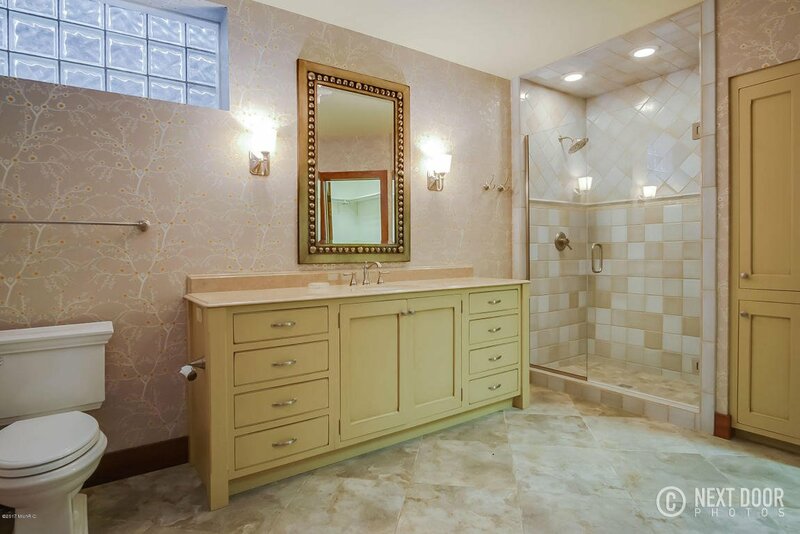 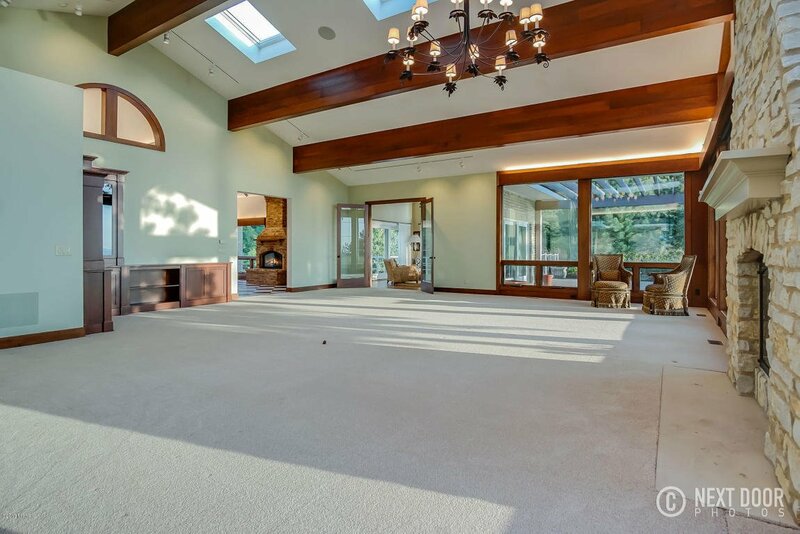 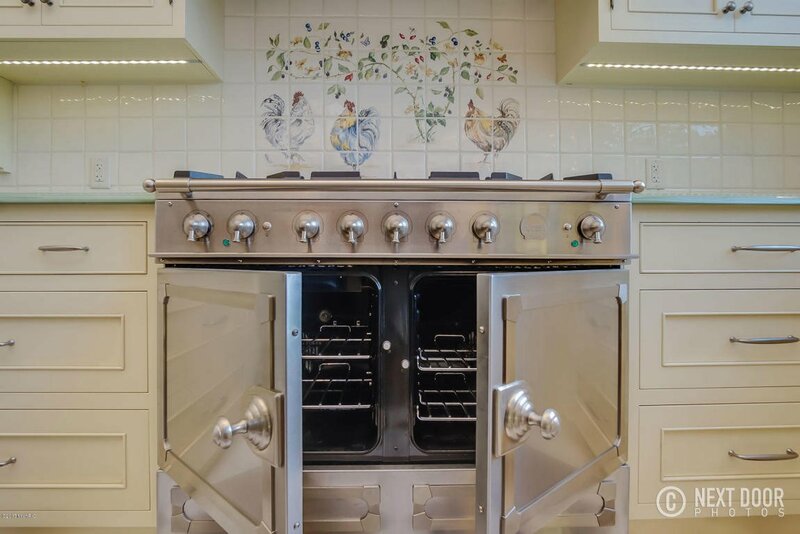 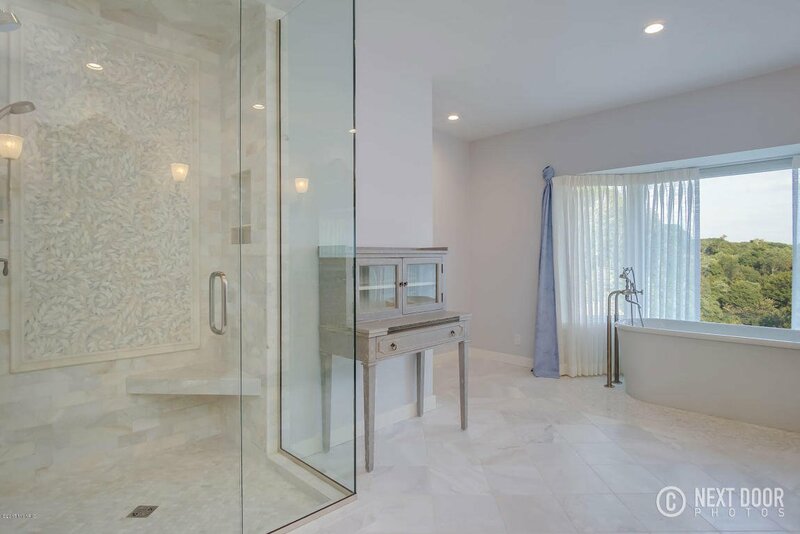 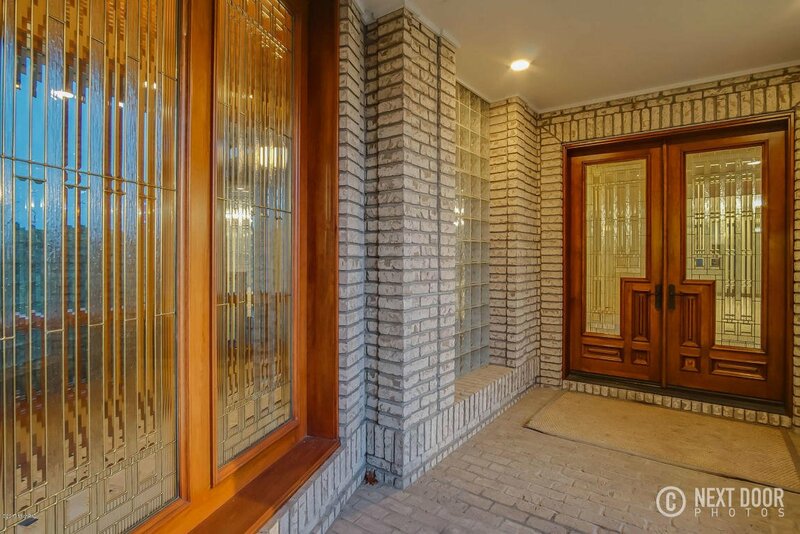 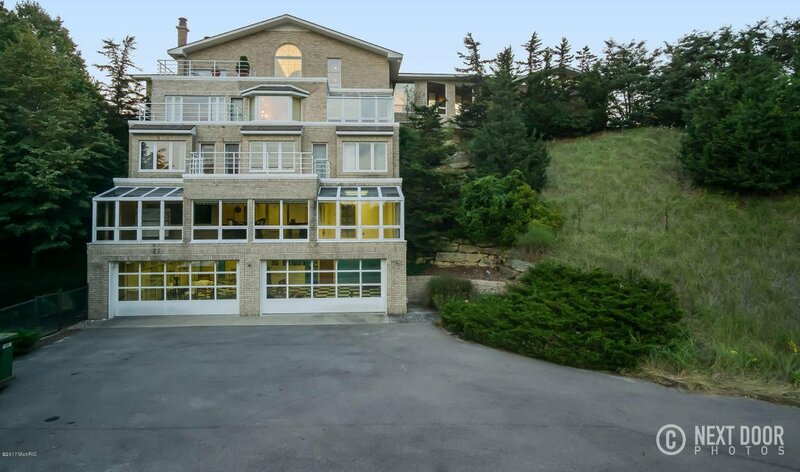 THIS ONE OF KIND COMMERCIALLY BUILT ESTATE boasts 6 bedrooms, 5 full baths & 2 half baths, with almost 8000 s.f to appreciate. 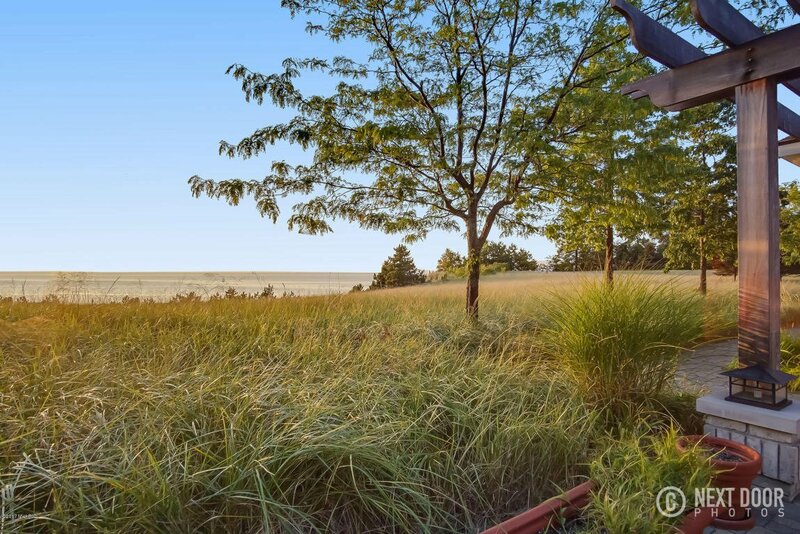 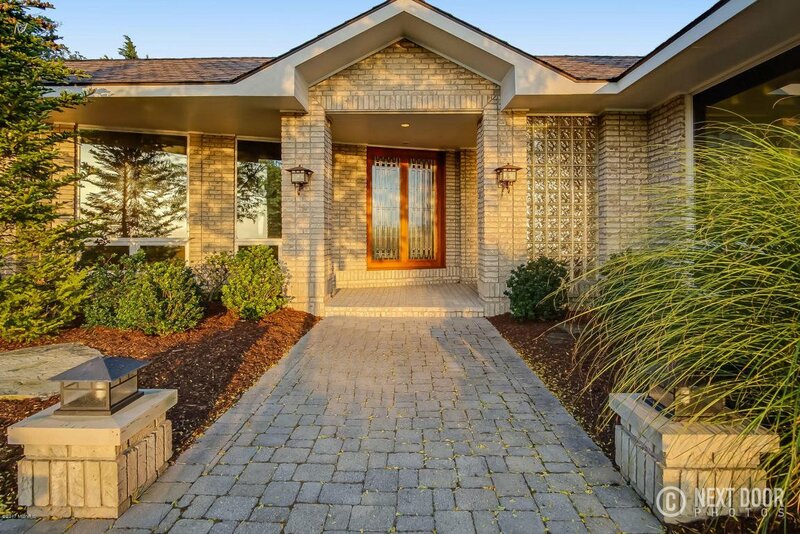 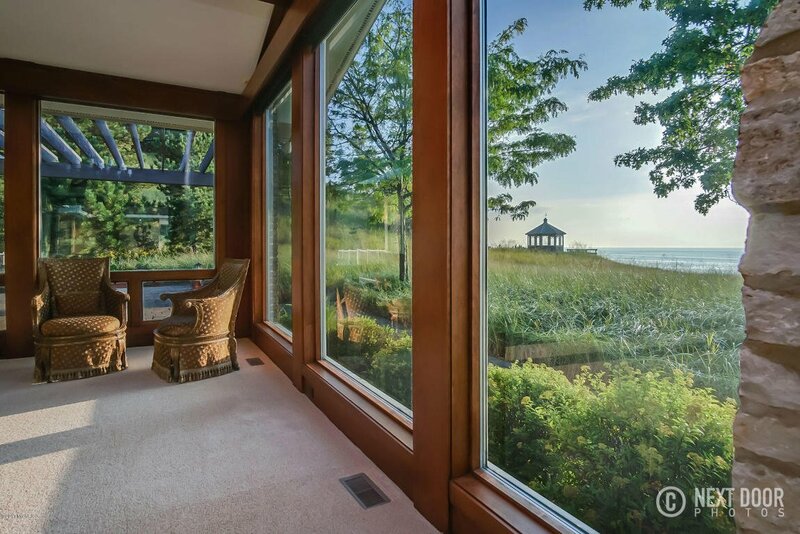 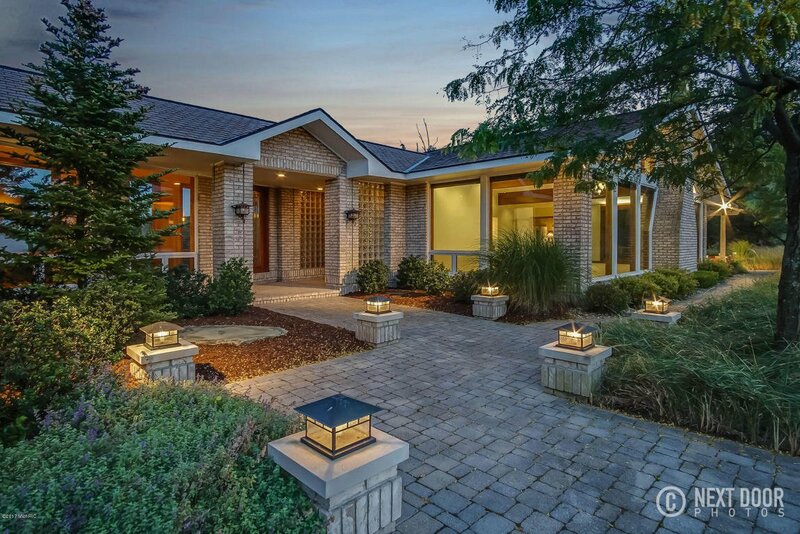 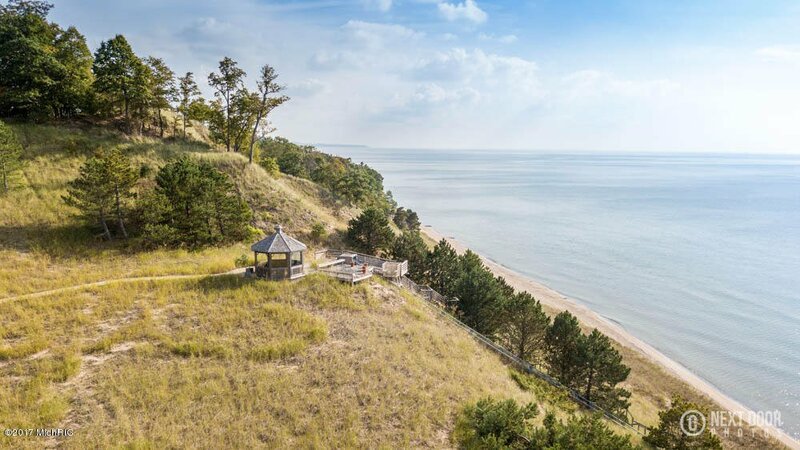 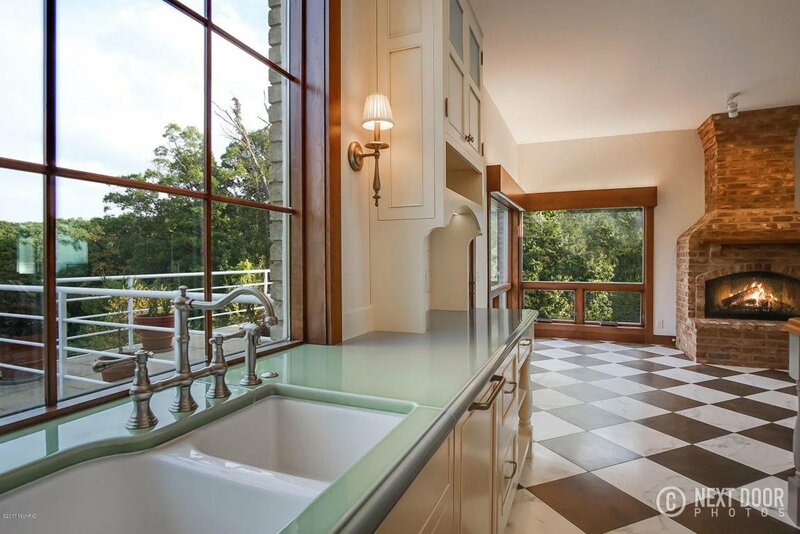 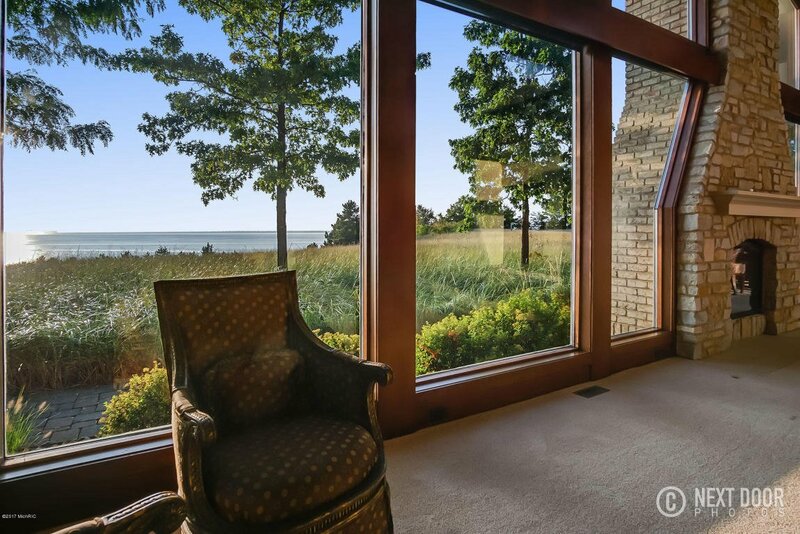 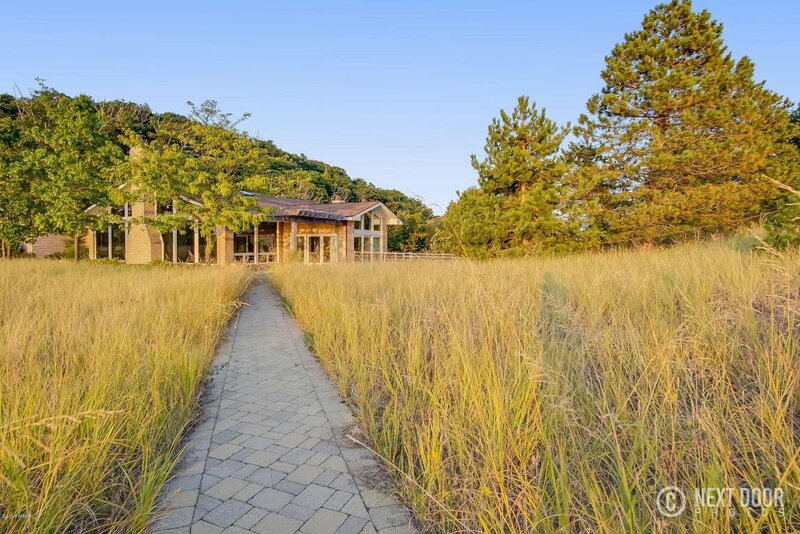 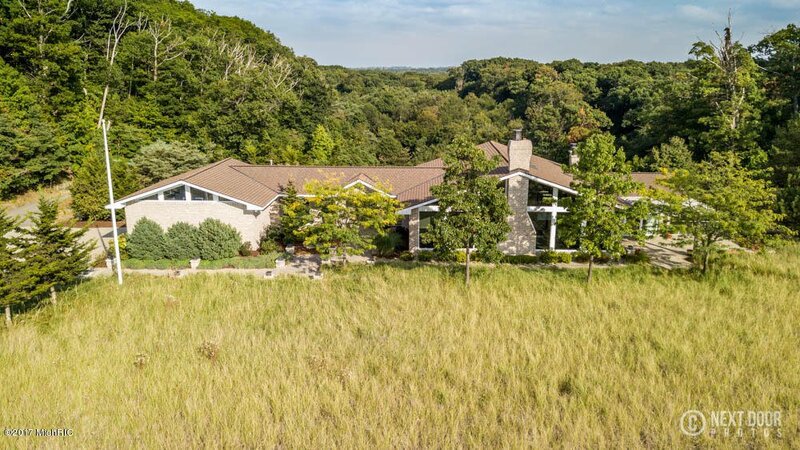 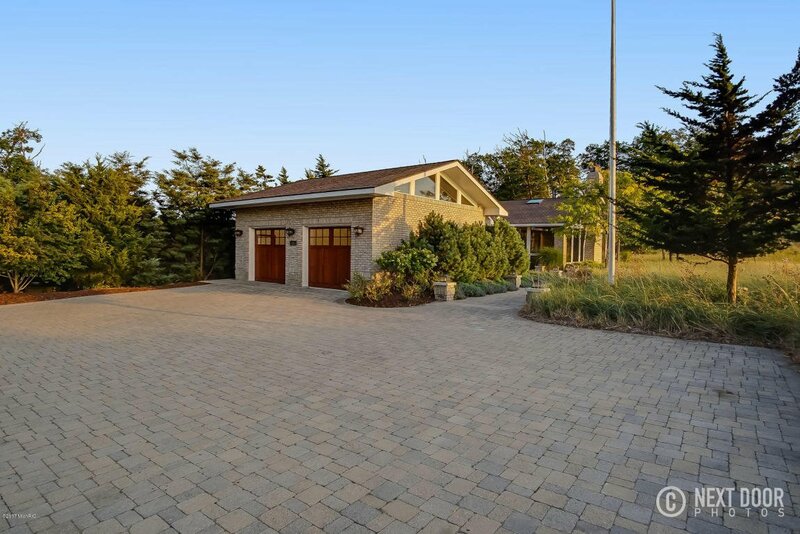 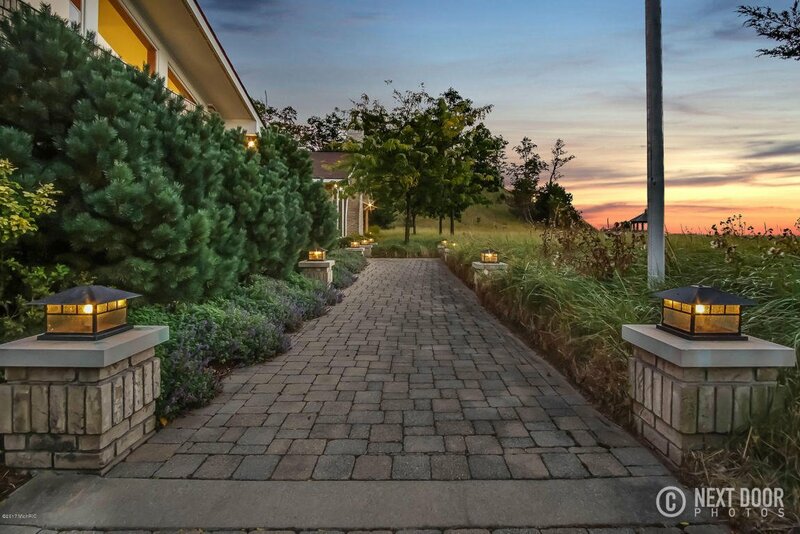 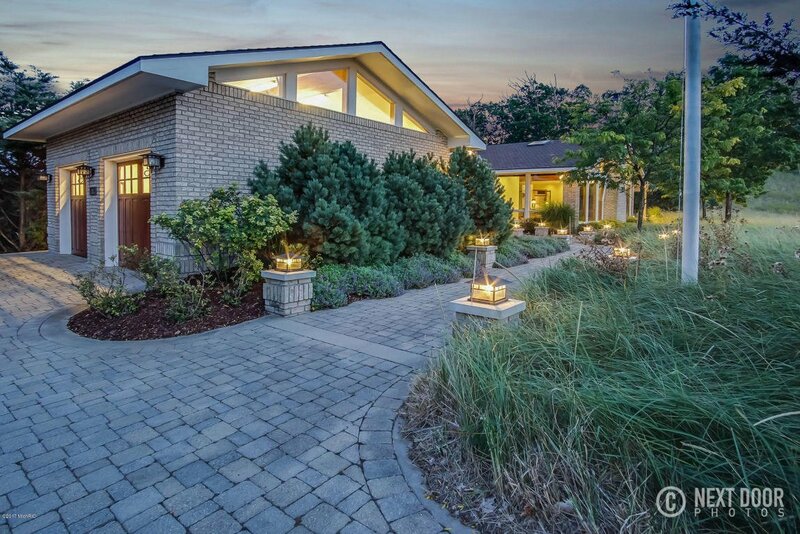 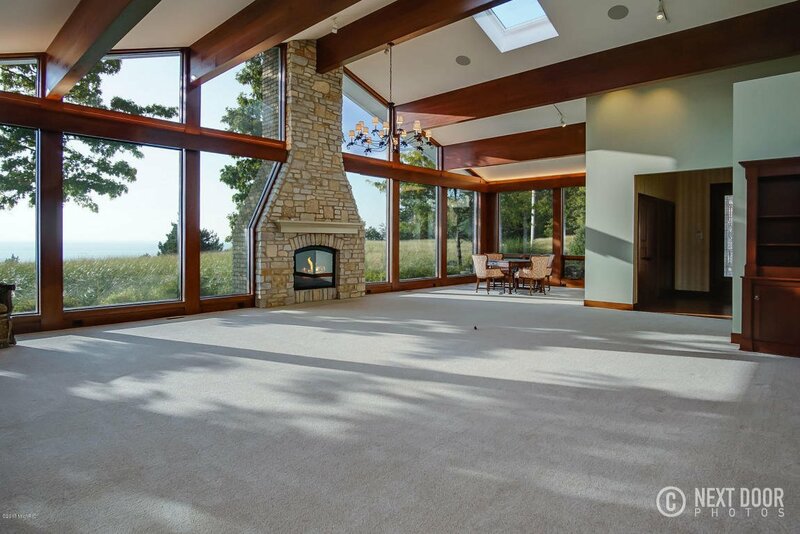 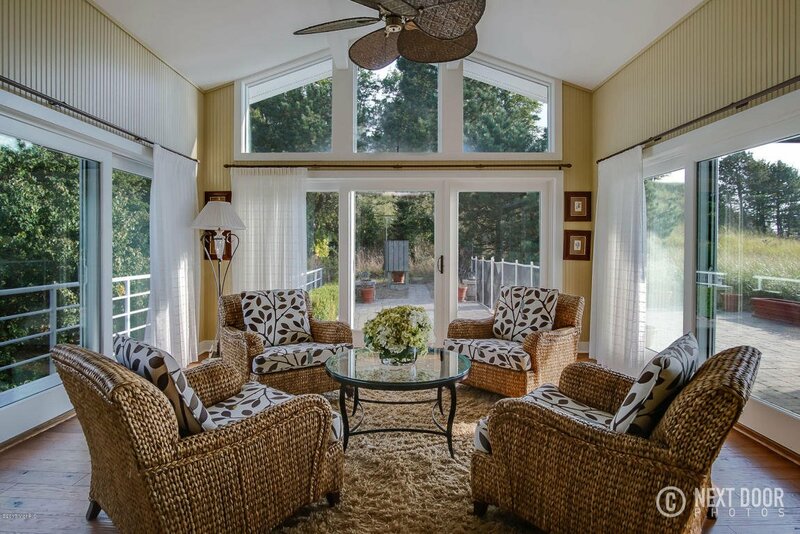 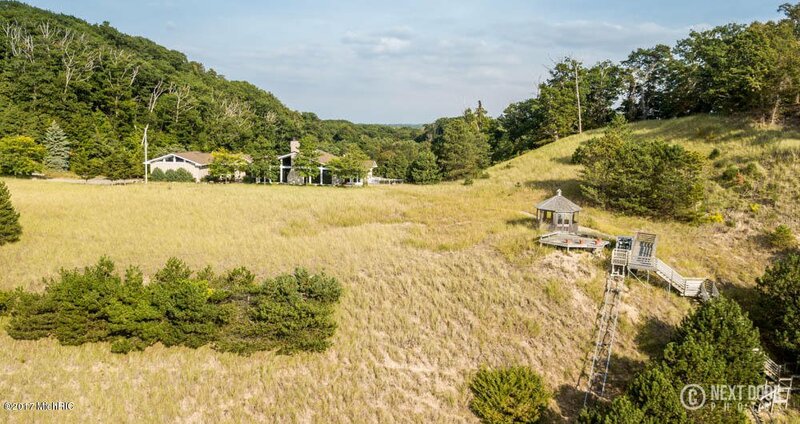 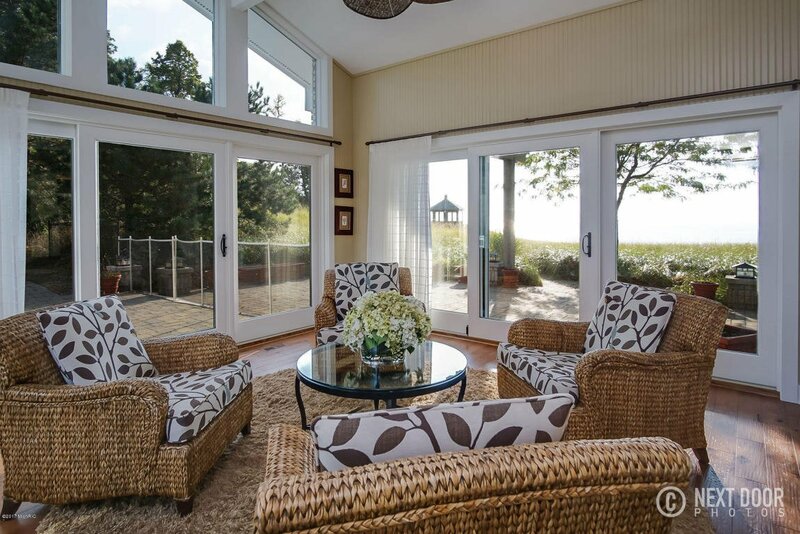 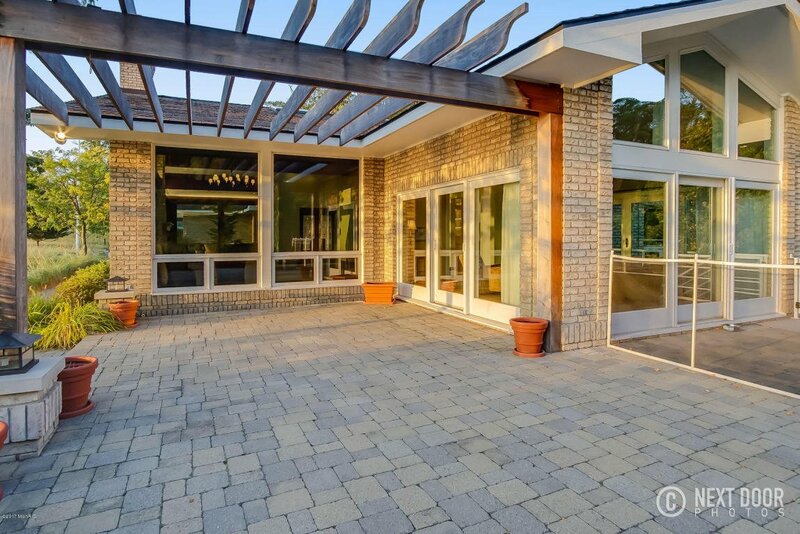 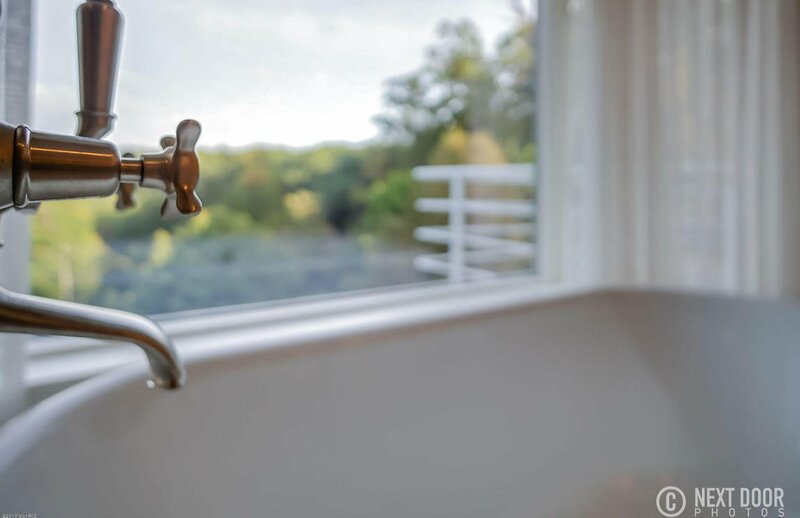 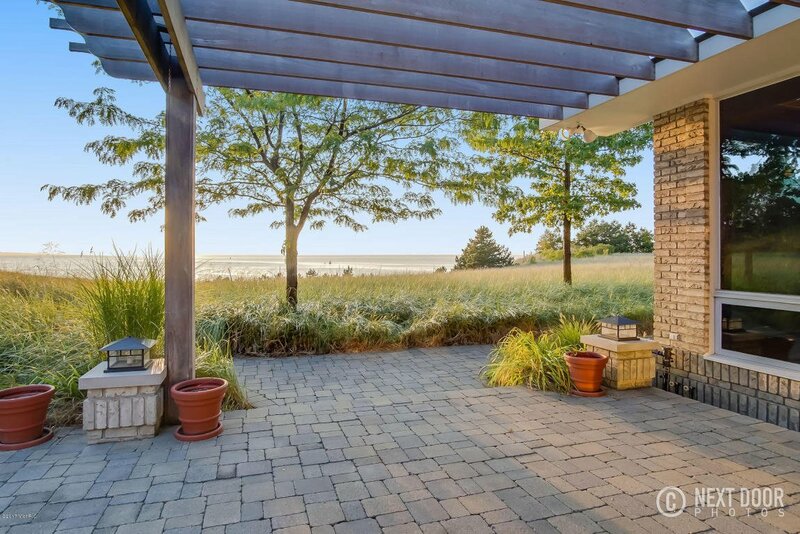 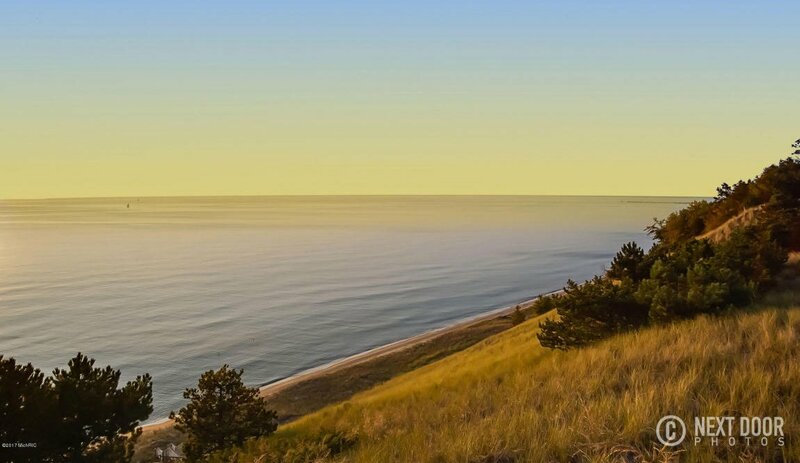 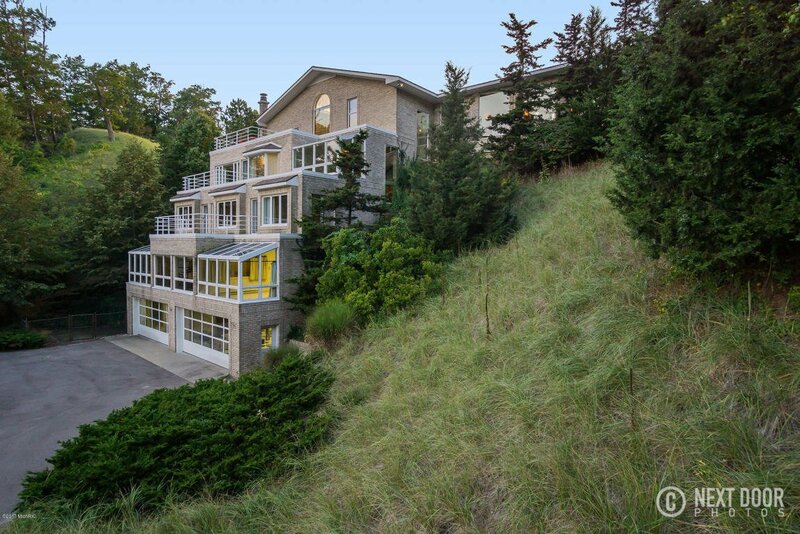 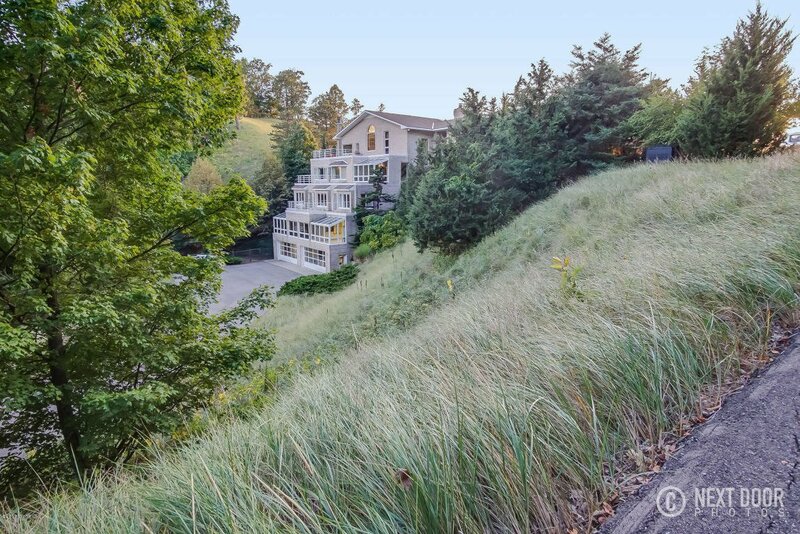 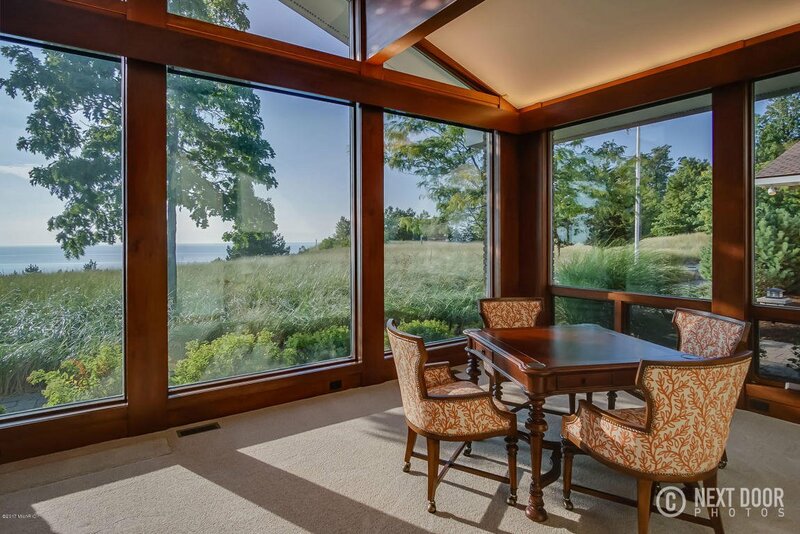 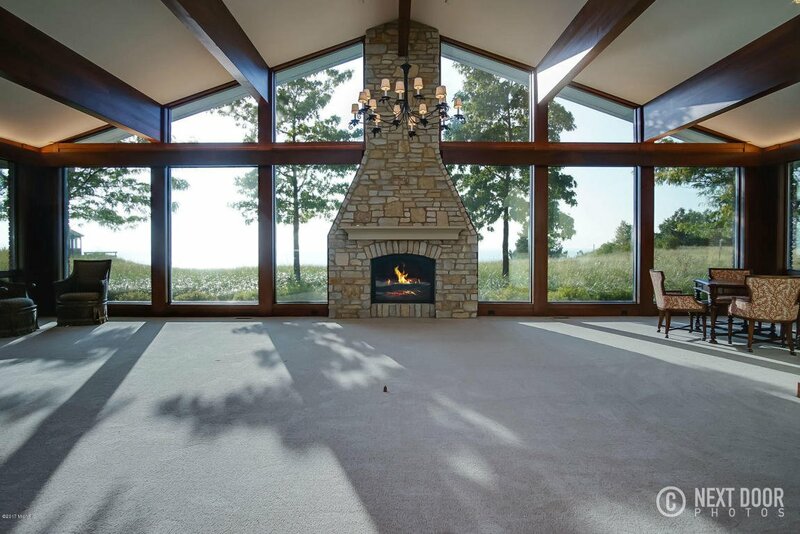 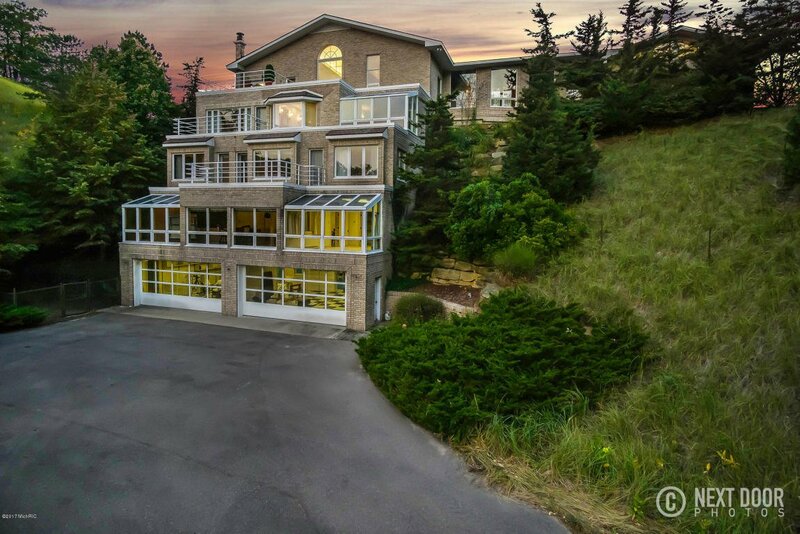 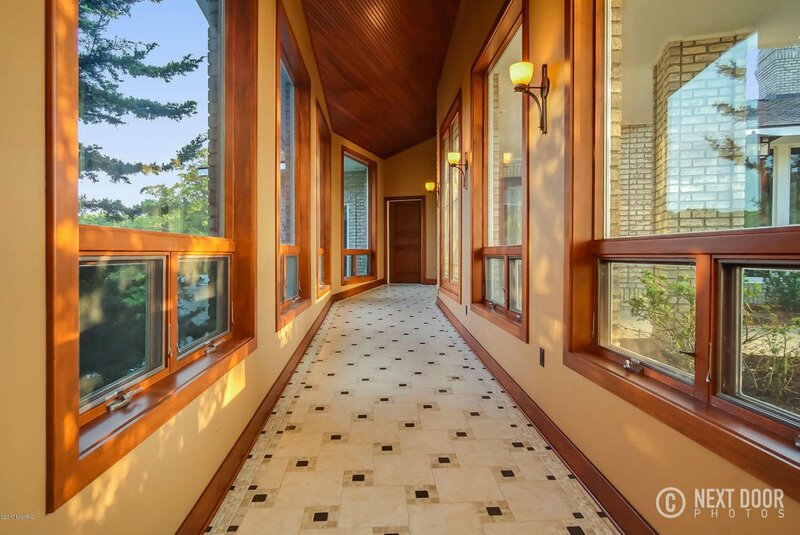 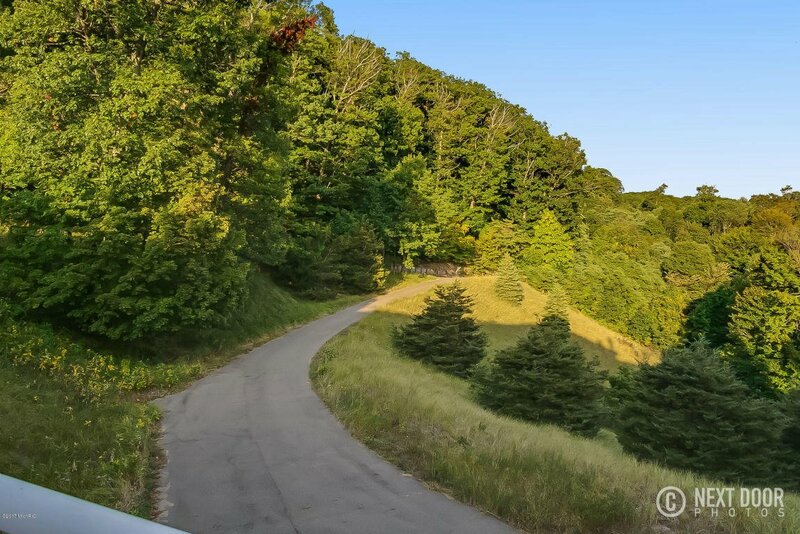 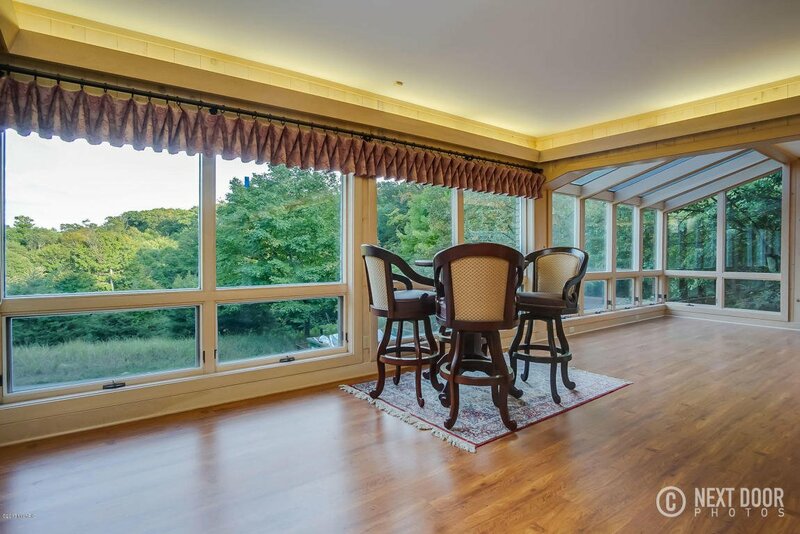 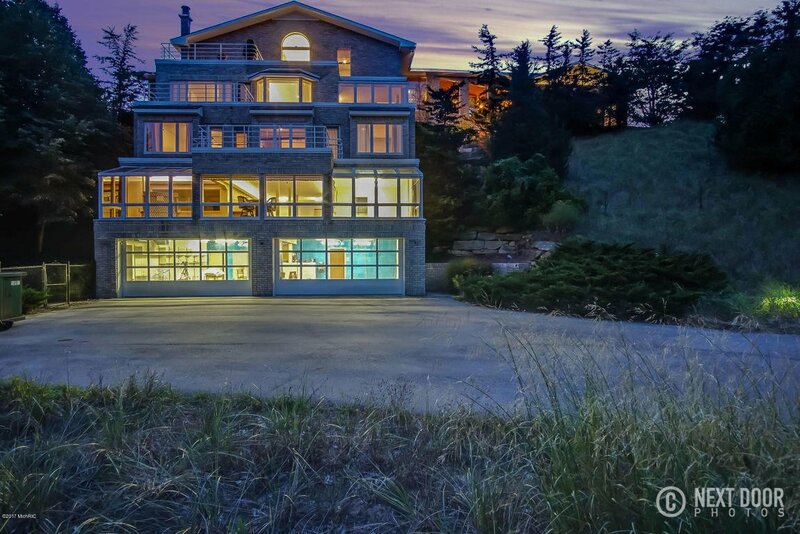 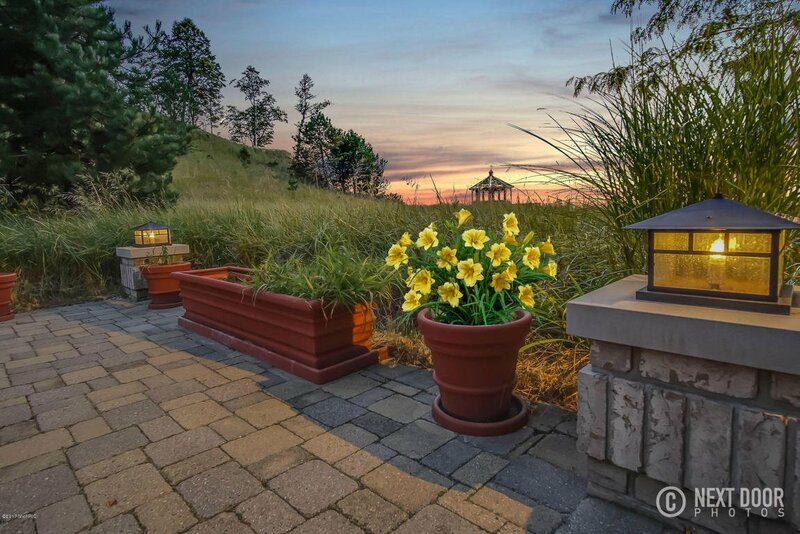 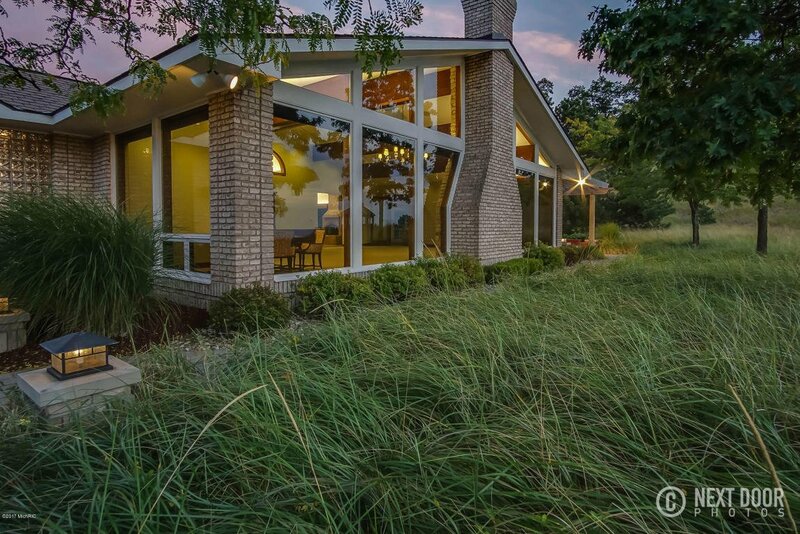 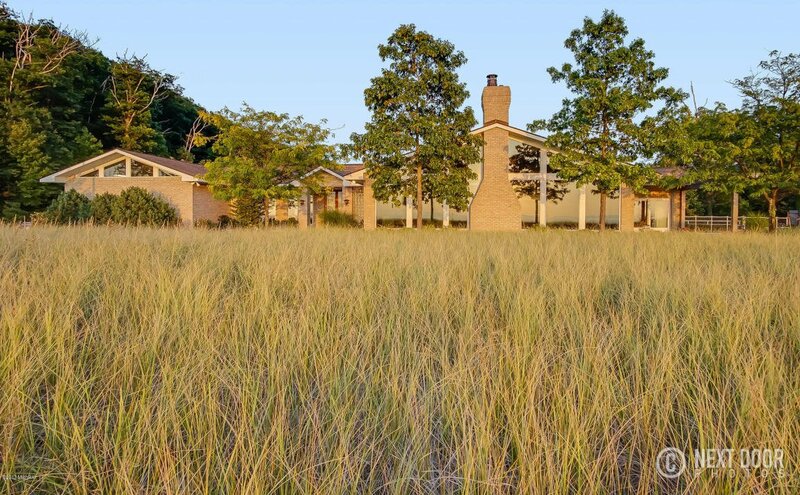 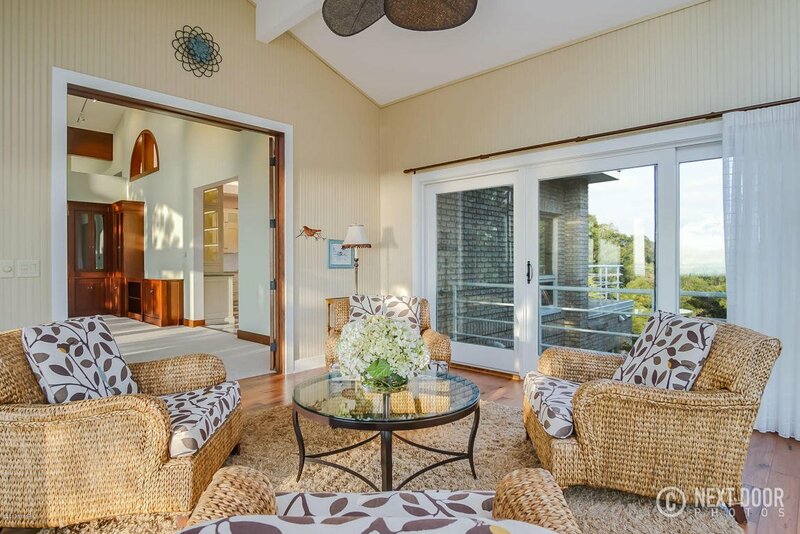 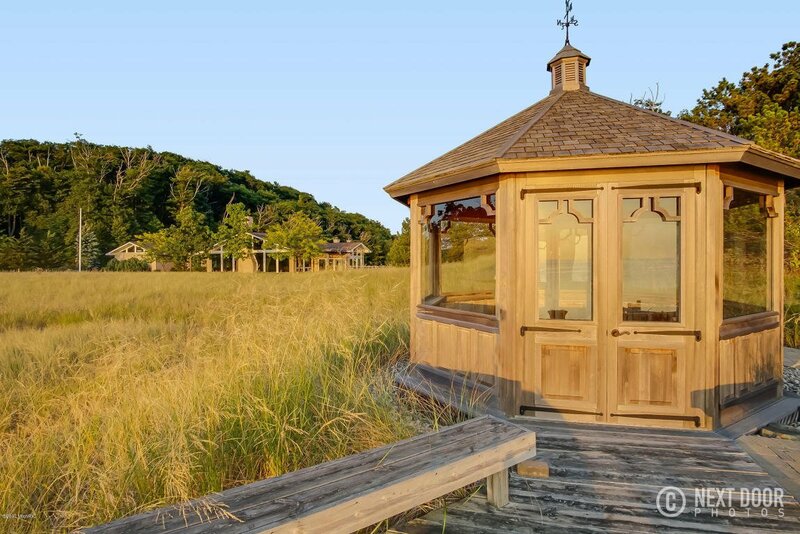 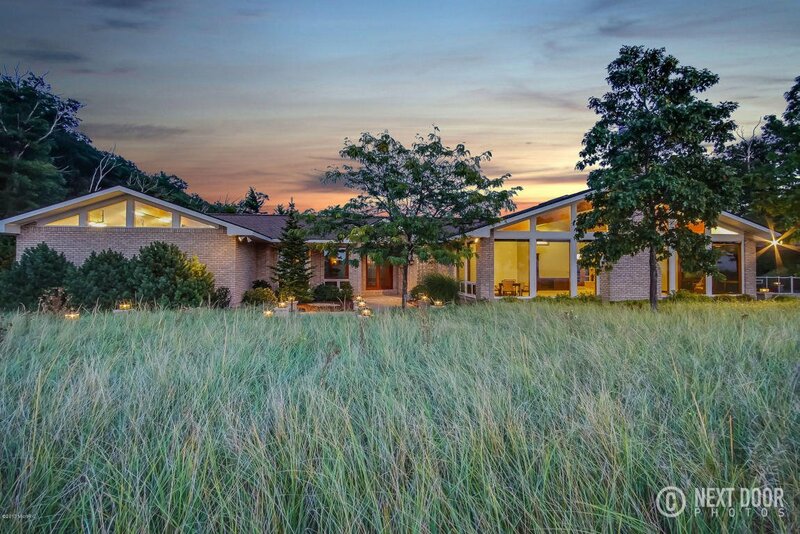 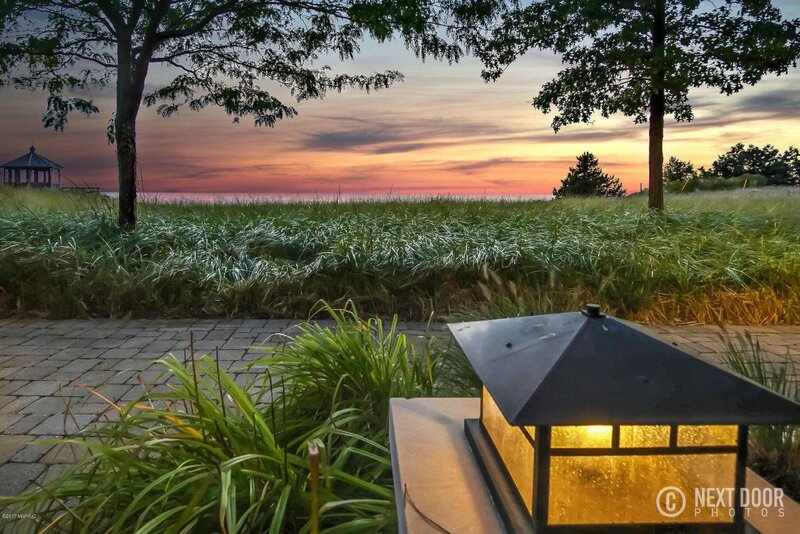 100 ft ABOVE Lake Michigan's shoreline with the most breathtaking sunrises & sunsets this home has it all. 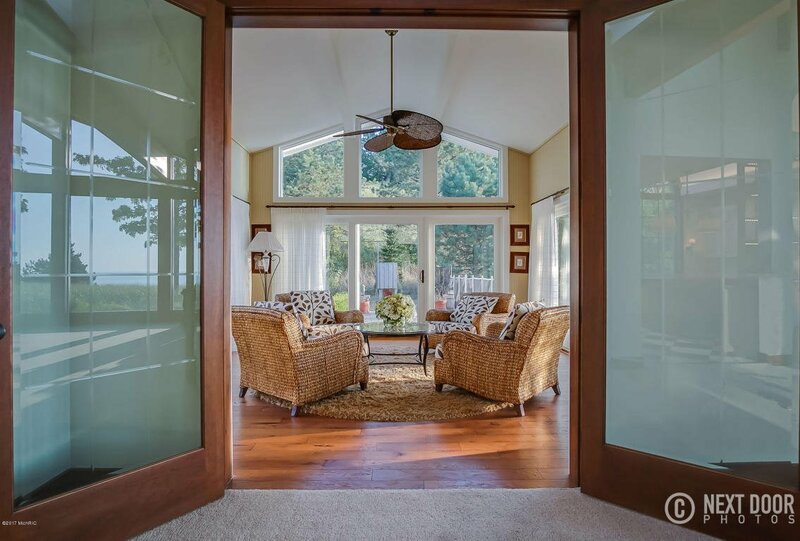 Double wood front doors welcome you to the large foyer leading to the massive great room featuring vaulted ceilings, wall of windows & floor to ceiling stone fireplace, french doors to 4 seasons room that walks out to patio w/pergola walkway to gazebo, electric chair lift to beach & views you could only dream. 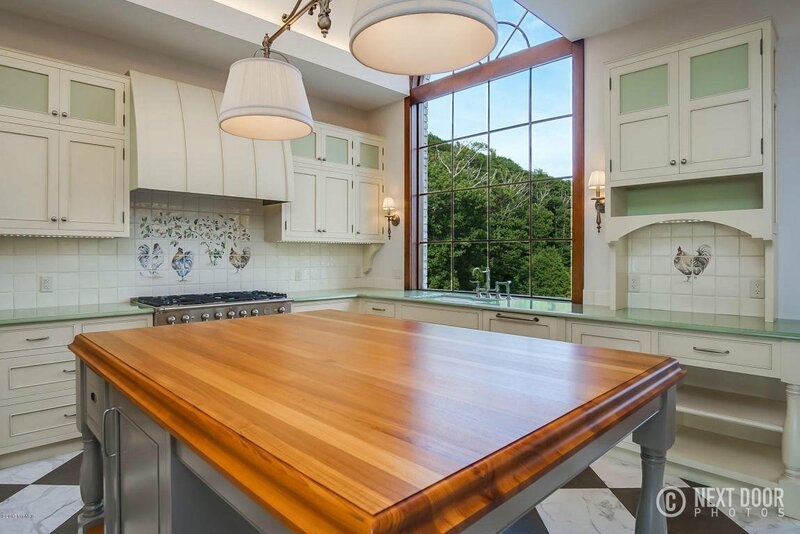 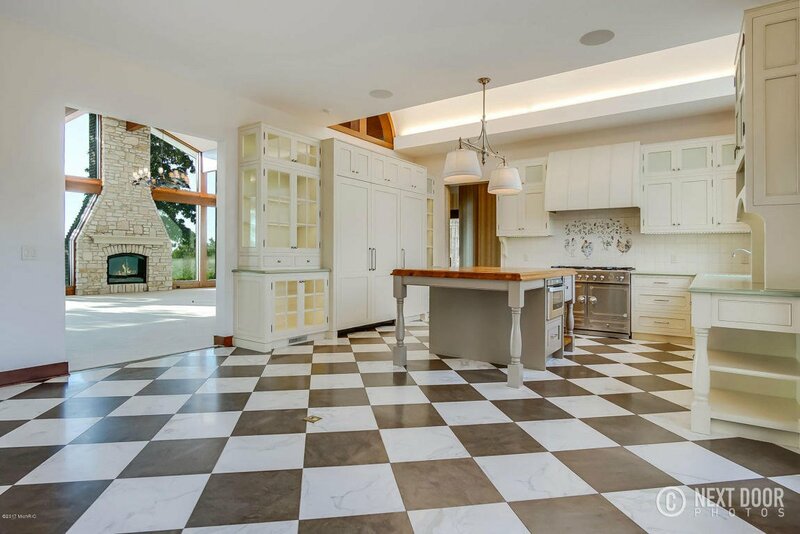 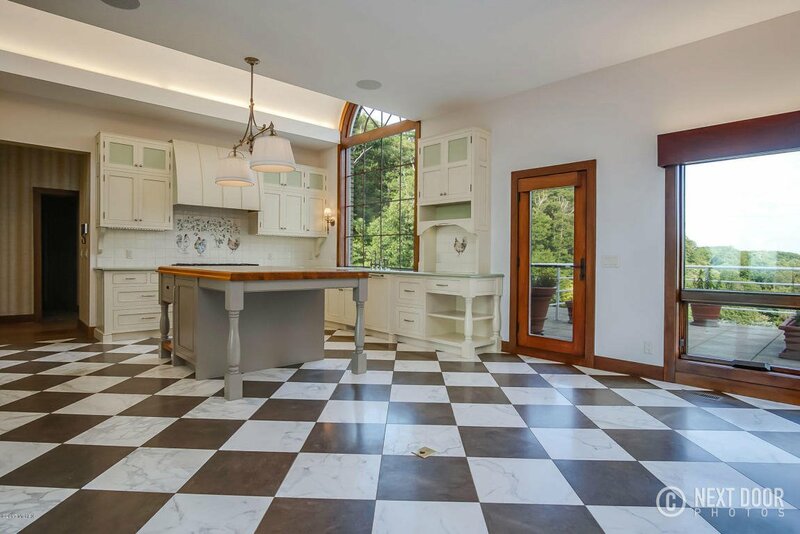 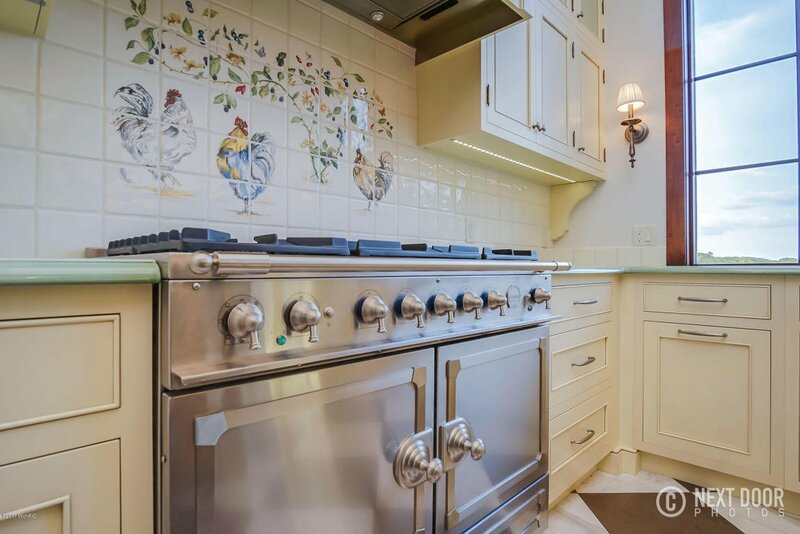 A sophisticated kitchen opens to dining area & hearth room w/Fireplace, teak snack bar island, lava stone countertops with ceramic glaze, all integrated luxury appliances, stone floors and remote blinds. 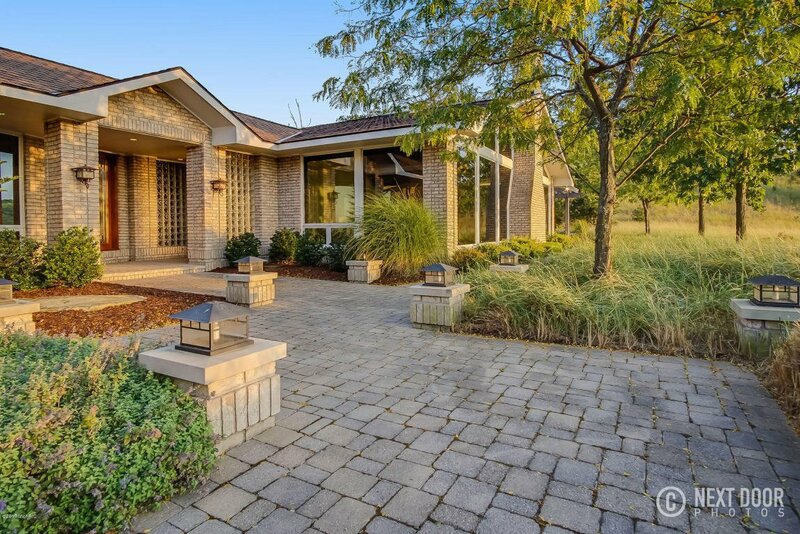 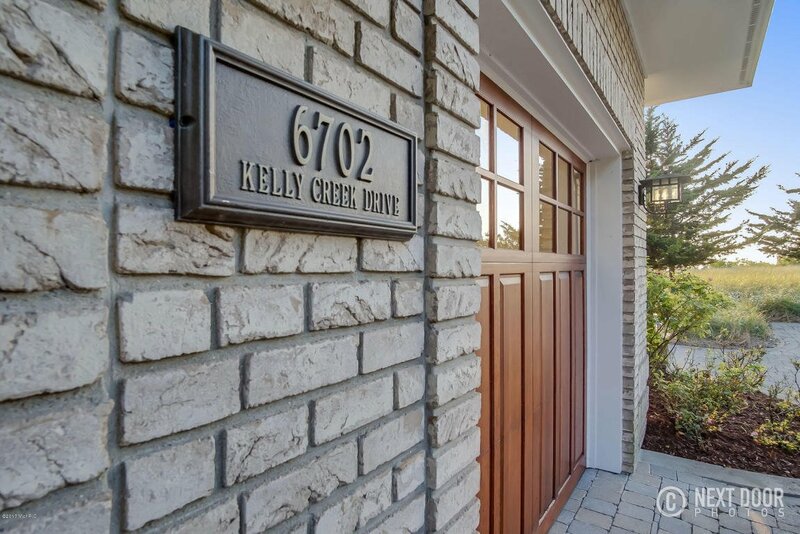 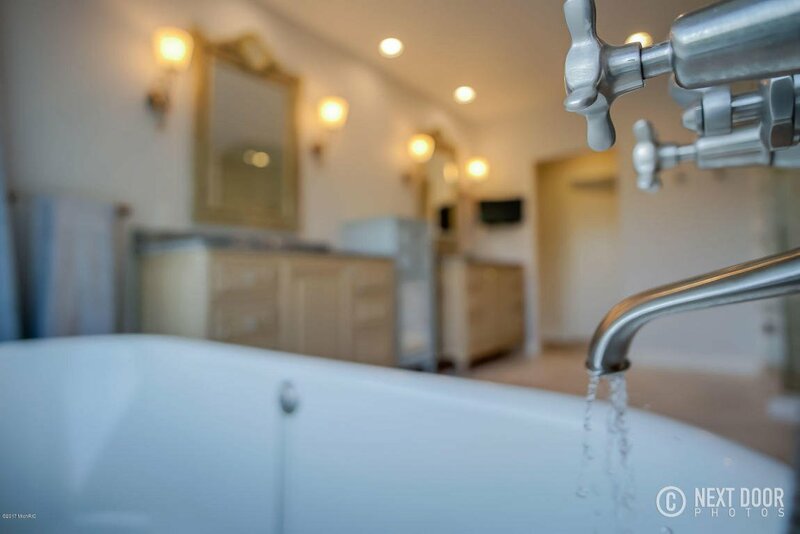 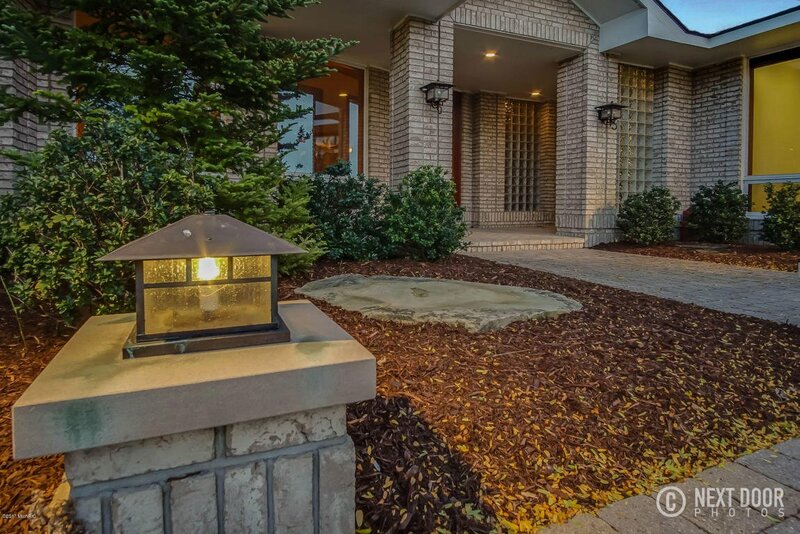 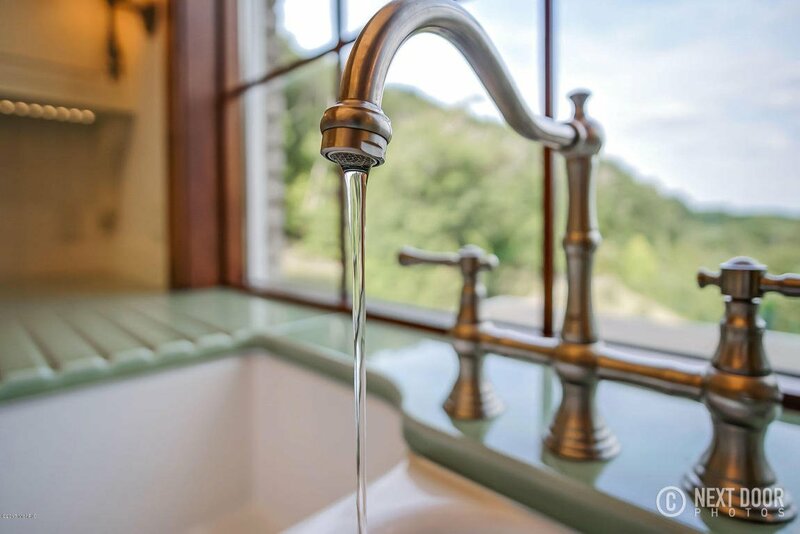 Sensational Master Retreat enjoys sitting area w/Fireplace, massive closet w/custom builtins and its own laundry, Master spa bath including steam shower. 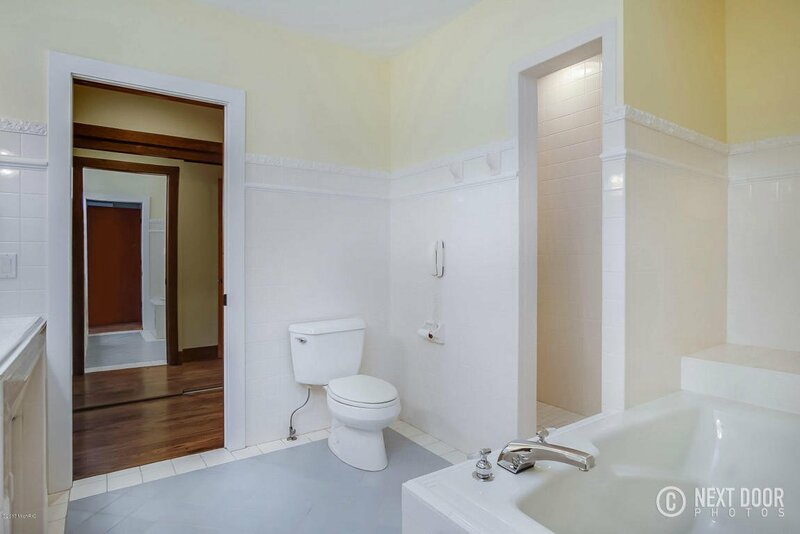 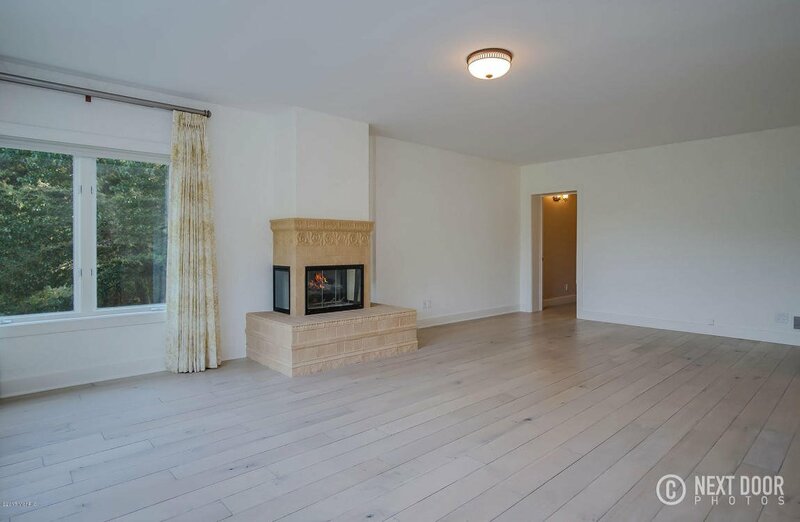 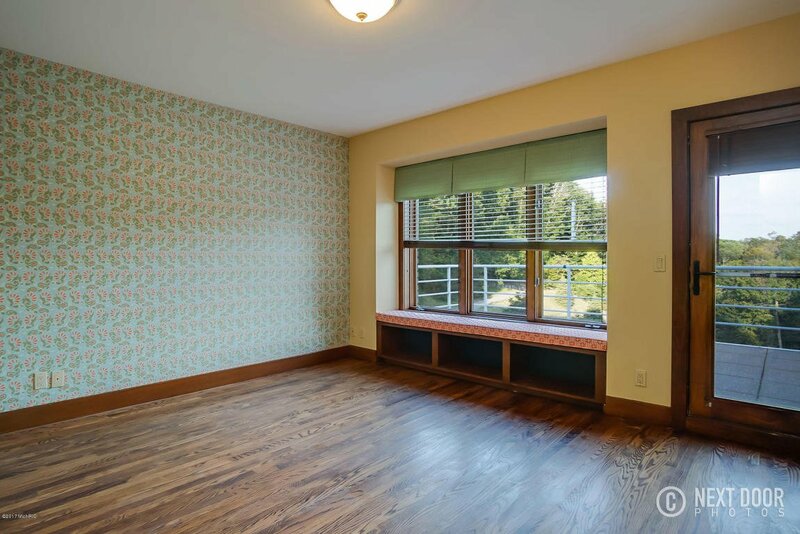 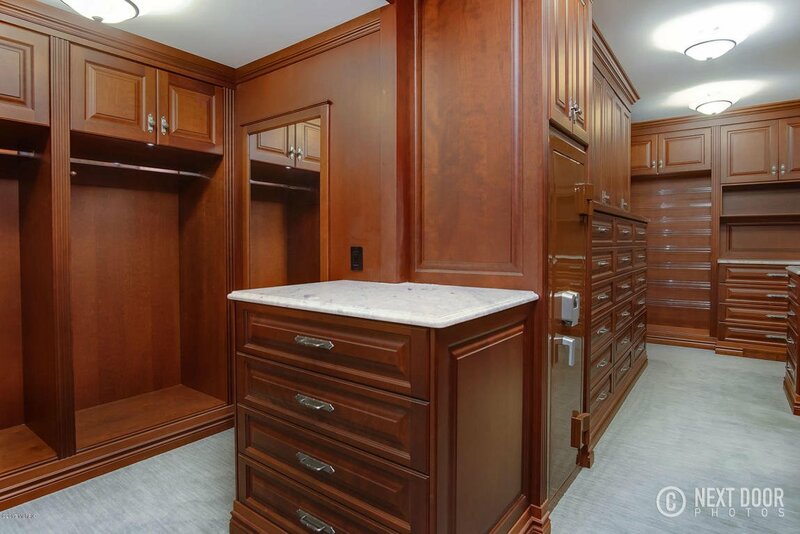 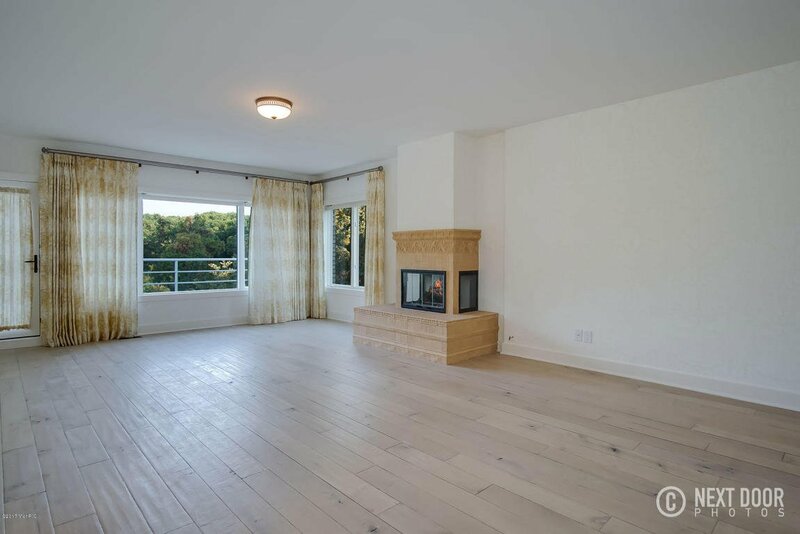 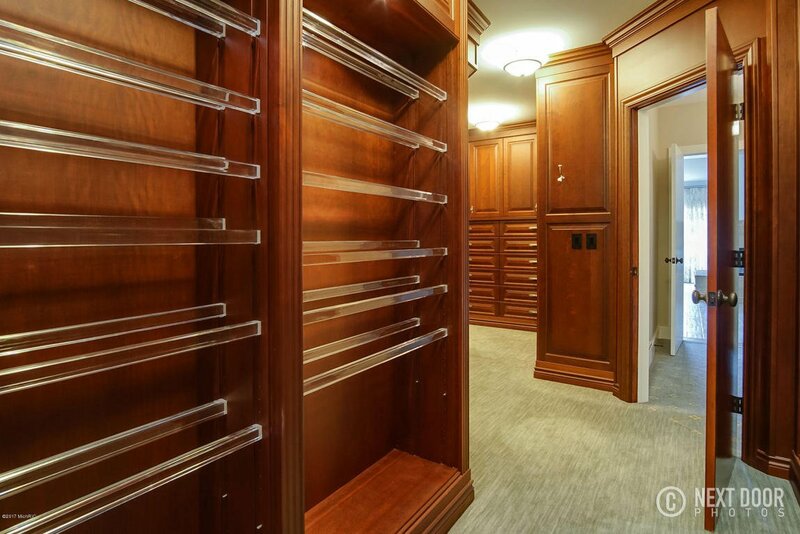 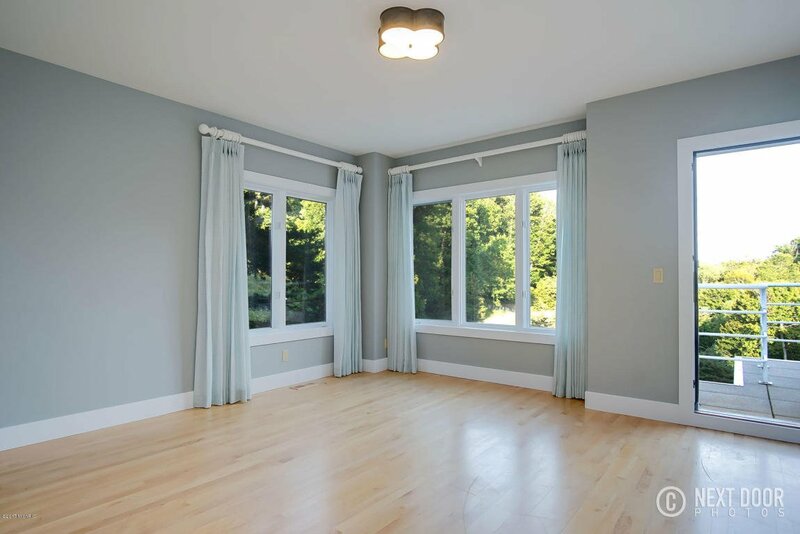 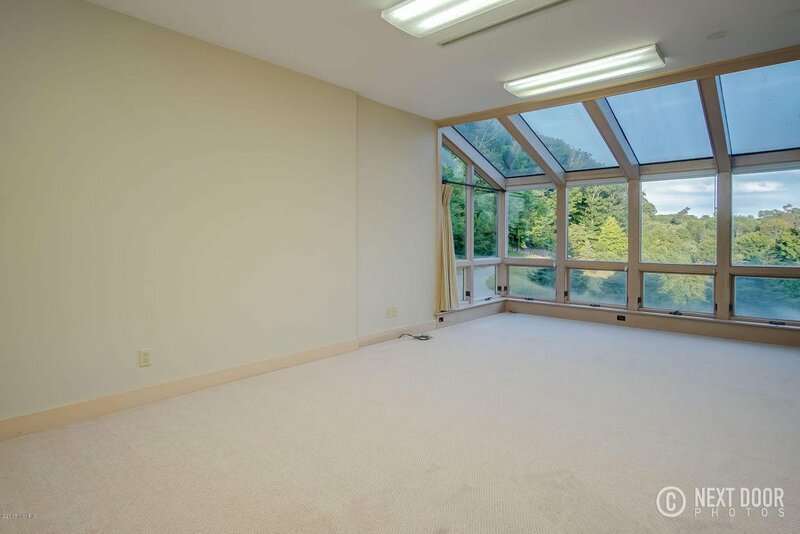 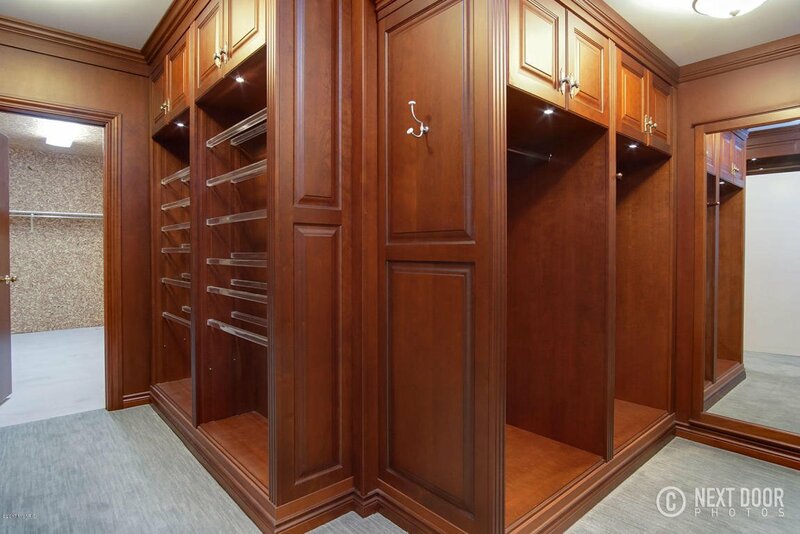 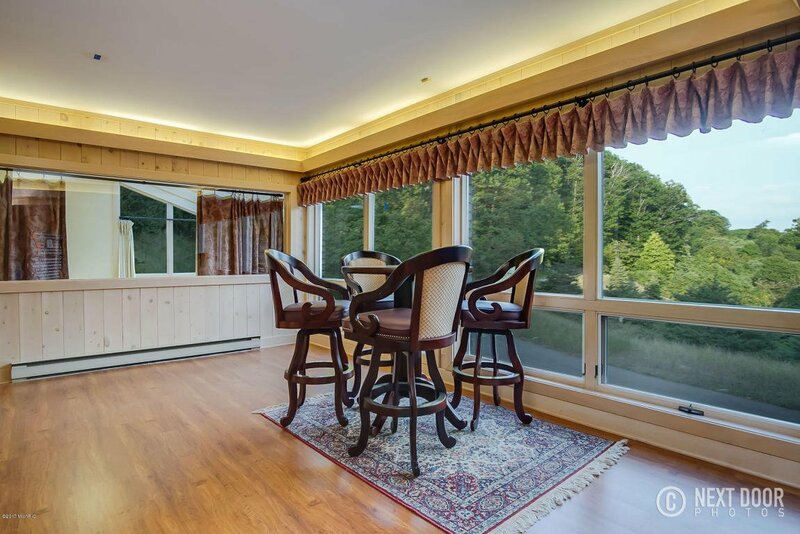 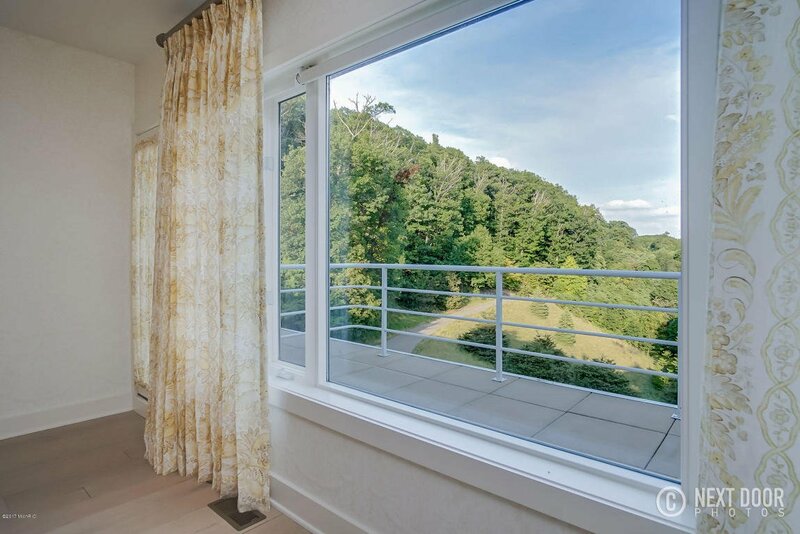 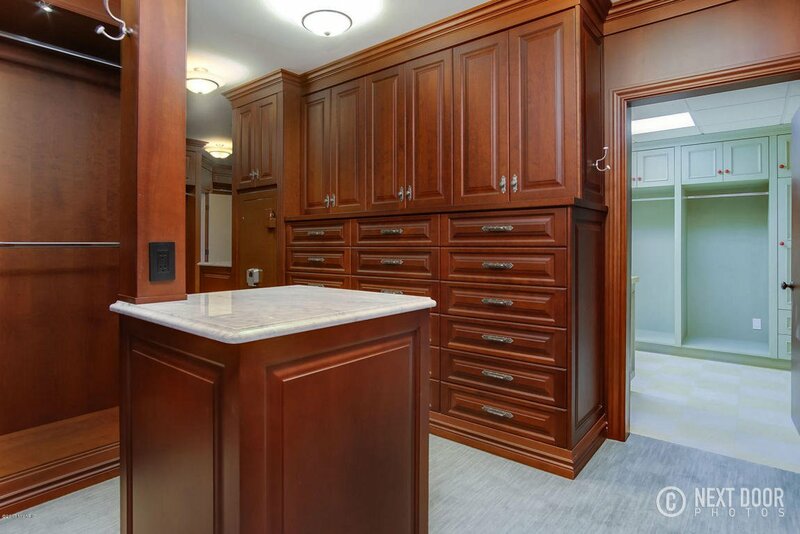 Four more wonderfully large bedroom suites w/doors to balcony. 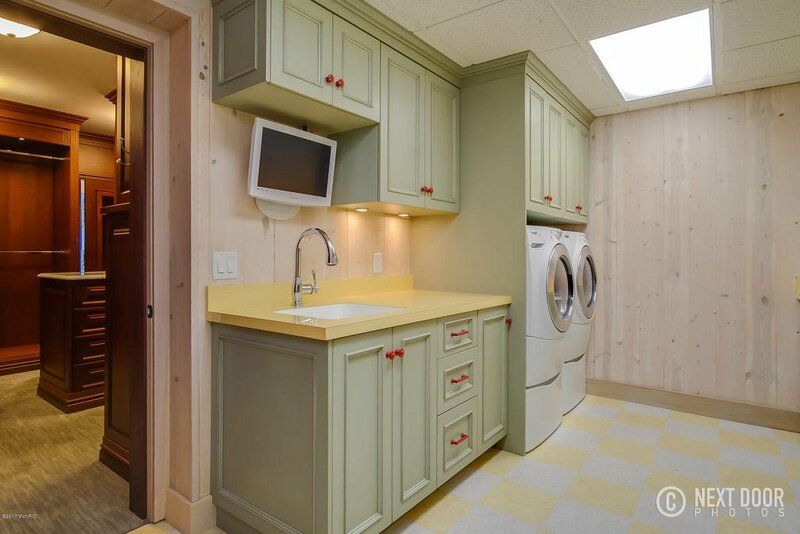 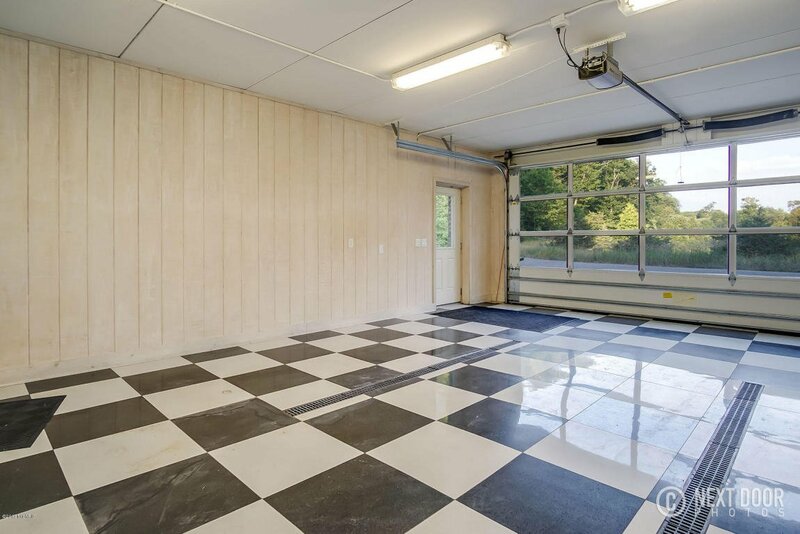 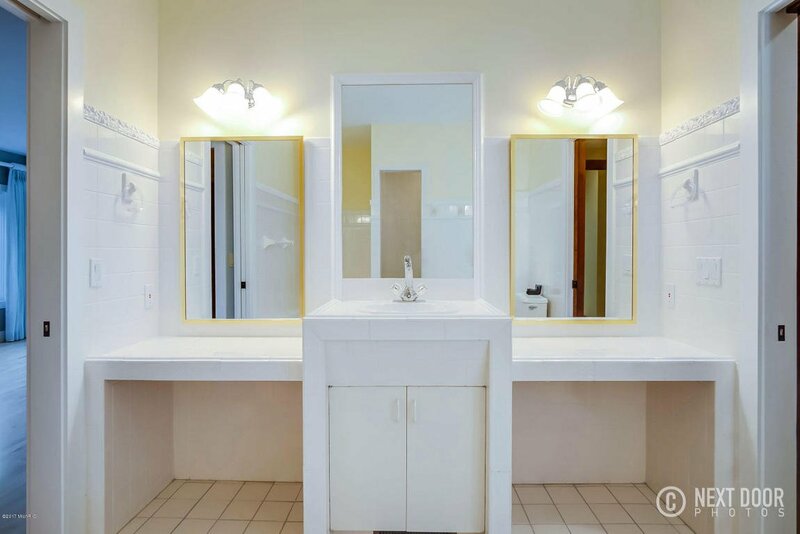 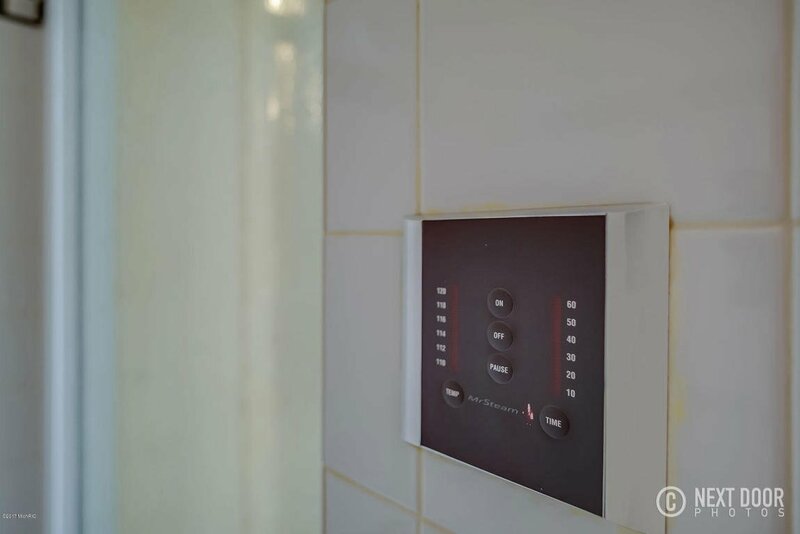 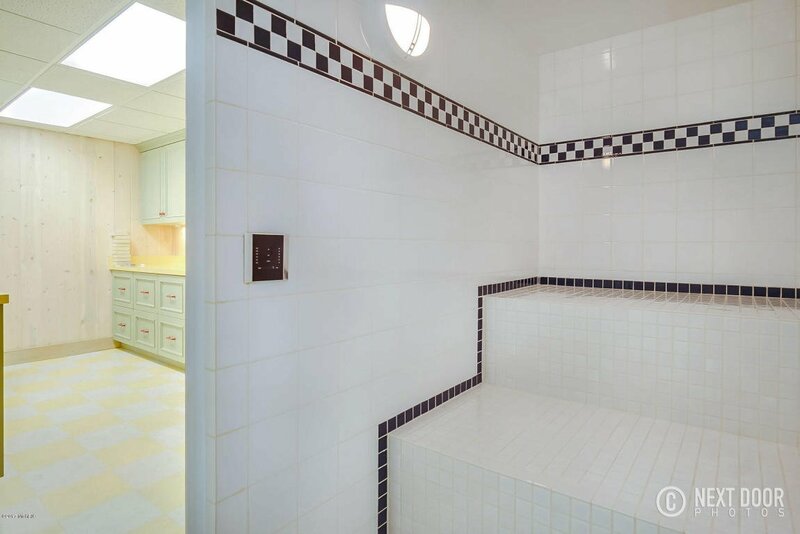 Other amenities include 6 stalls of heated garage w/extra storage & basketball court, Elevator, All new extensive landscaping, EPS Alarm system, Generac automatic generator, 3 separate HVAC systems, Amazing is an understatement!